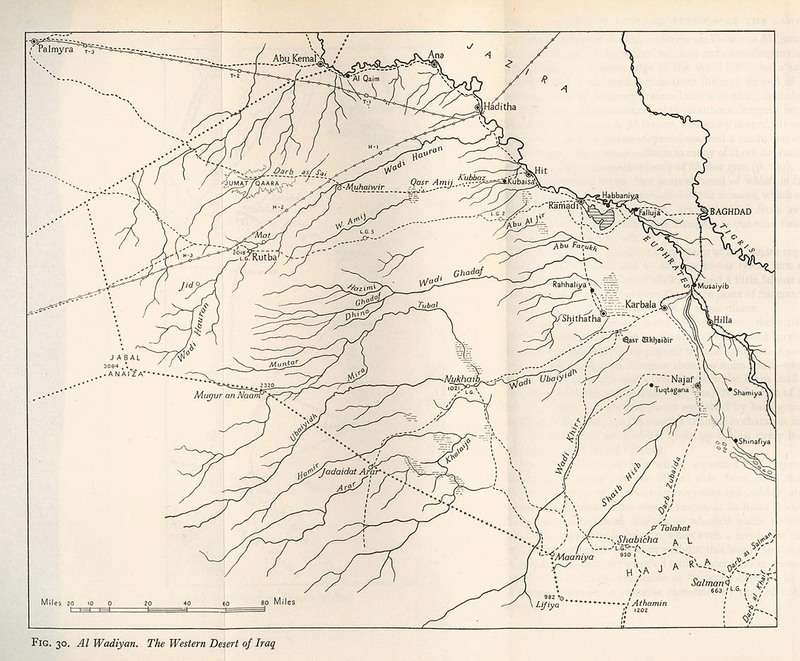 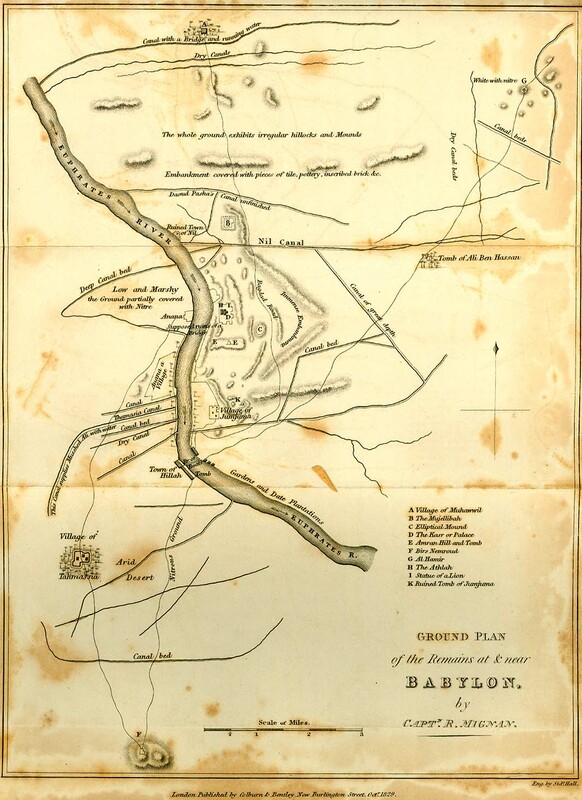 Babylon 1829 (229K) From Travels in Chaldaea, including a journey from Bussorah to Bagdad, Hillah, and Babylon, performed on foot in 1827, published by Henry Colburn and Richard Bentley, London, 1829. 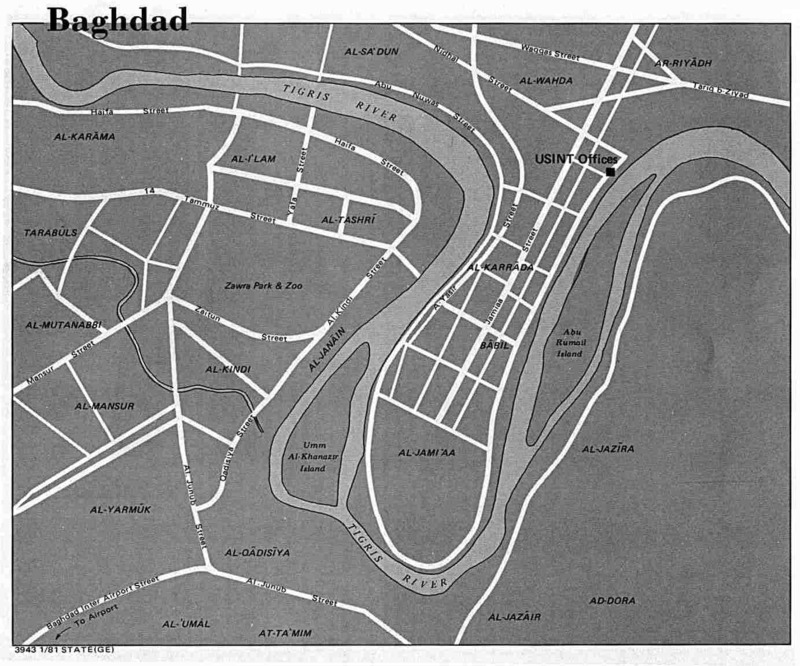 Baghdad 1849 (176K) Part of "The River Euphrates From Hit to the Kuthah River and The River Tigris from Sammara to the Abu Hitti Canal..." from Maps volume, sheet VII of The Expedition for the Survey of the Rivers Euphrates and Tigris, Carried on by Order of the British Government in the years 1835, 1836, and 1837... by Francis Rawdon Chesney. 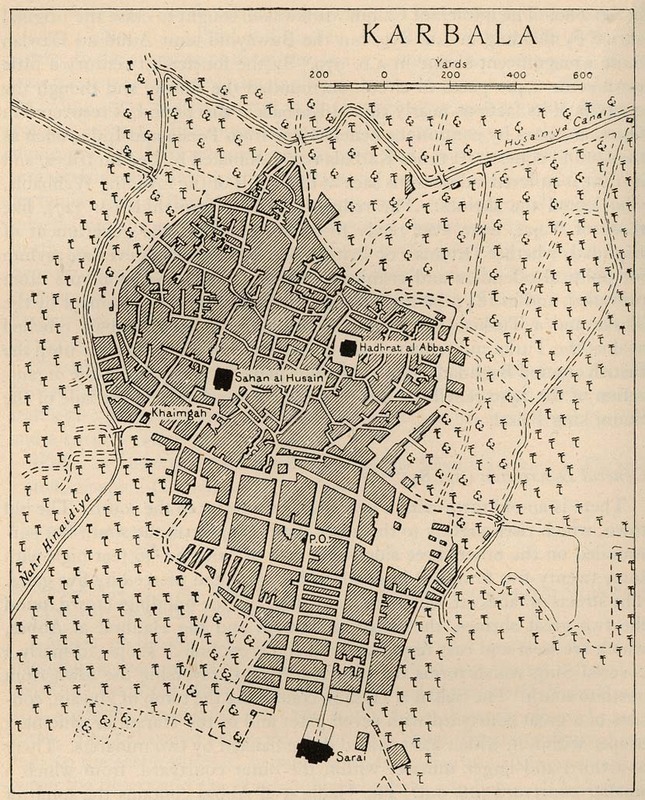 London, Longman, Brown, Green, and Longmans, 1850. 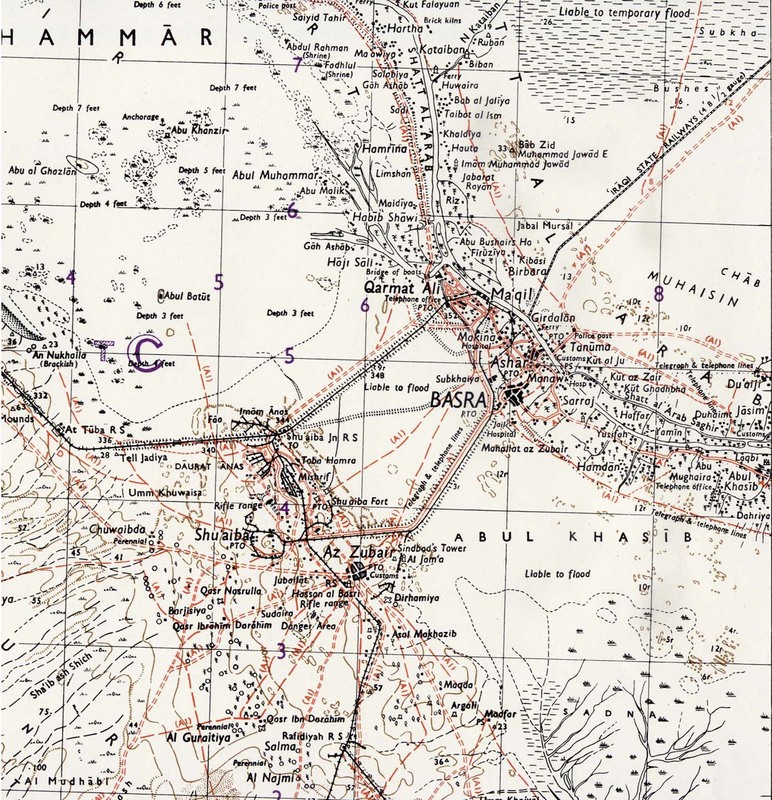 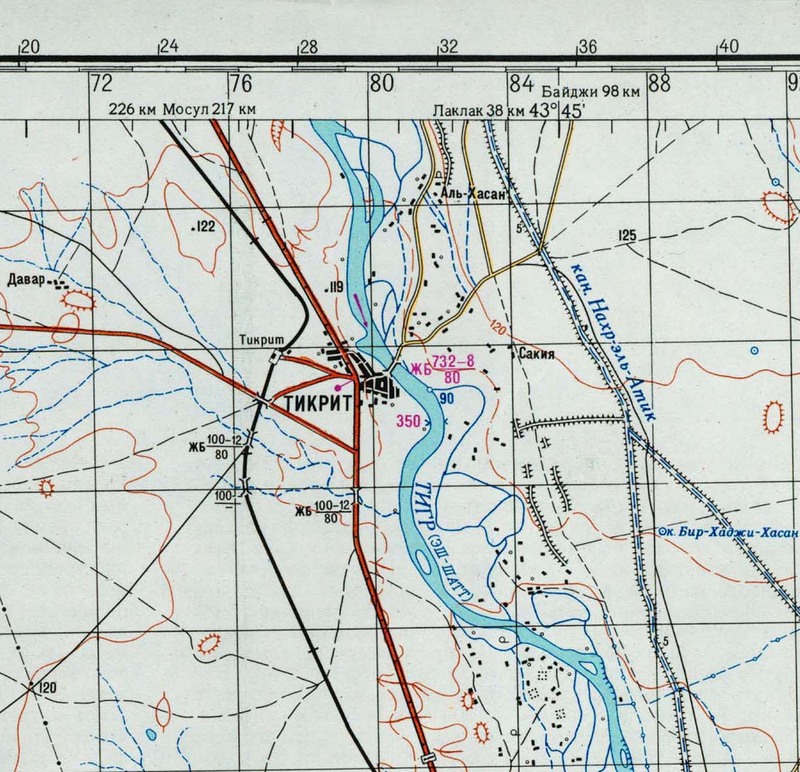 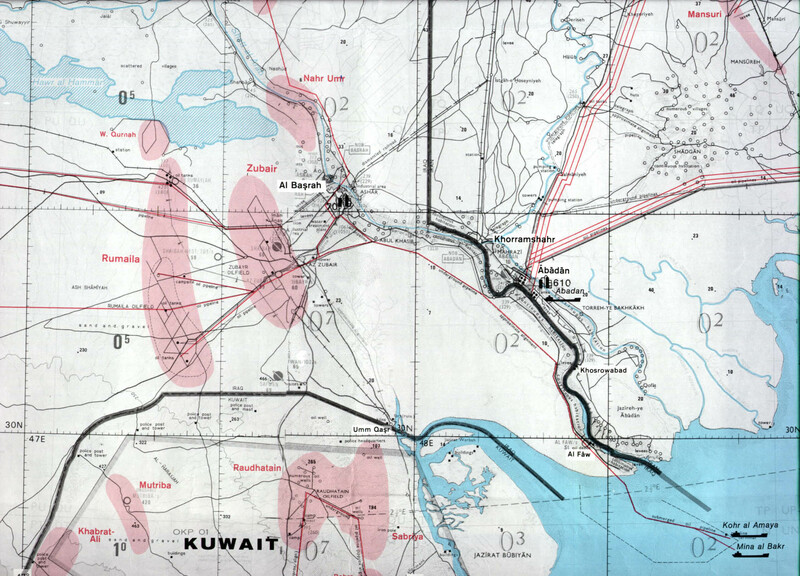 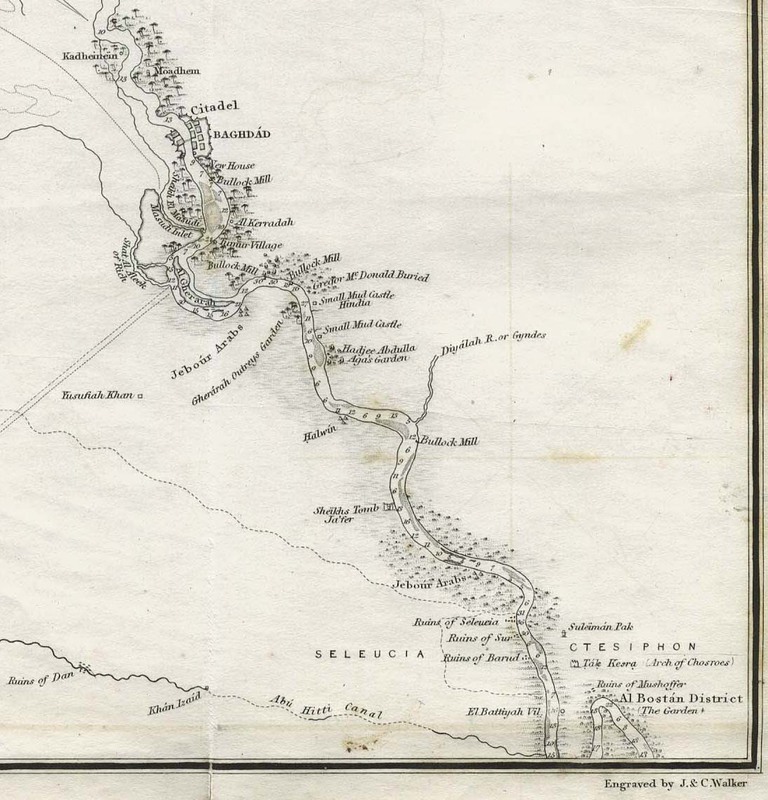 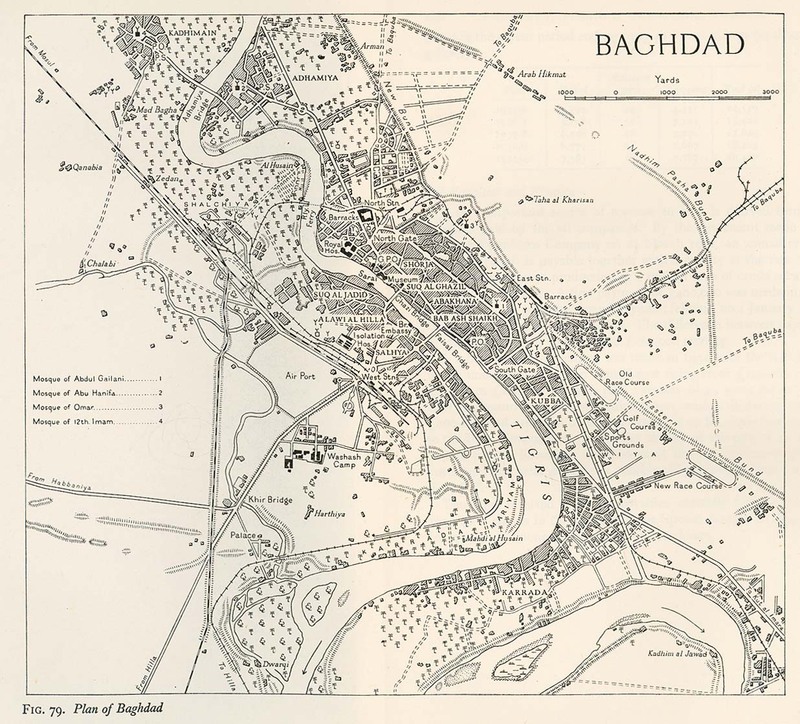 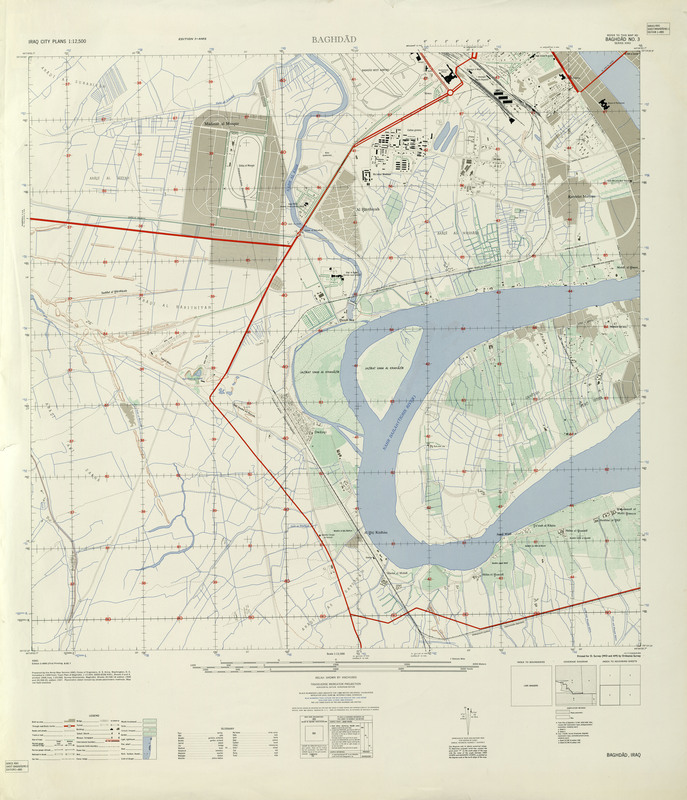 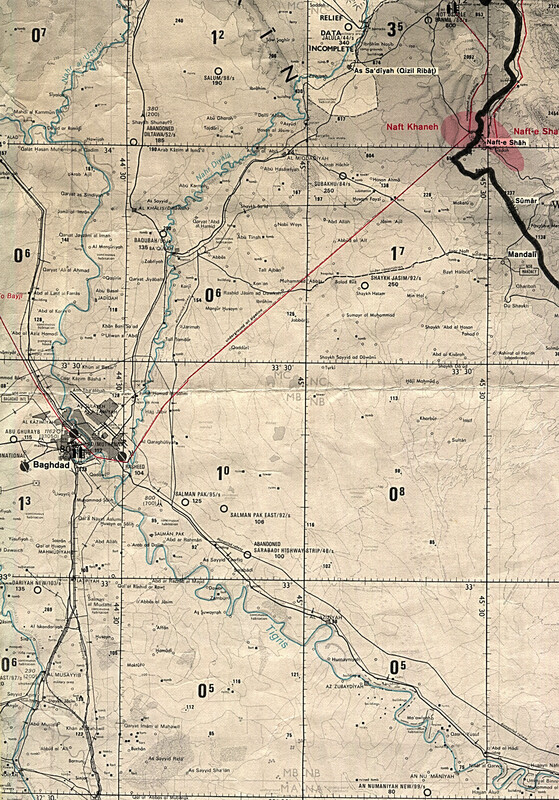 Basra Area 1942 (423K) map key and scale (185K) Part of sheet H-38 L Basra. 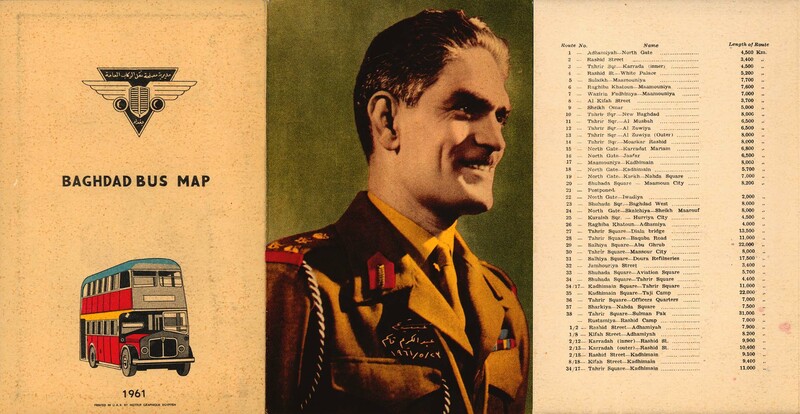 Edition June 1942. 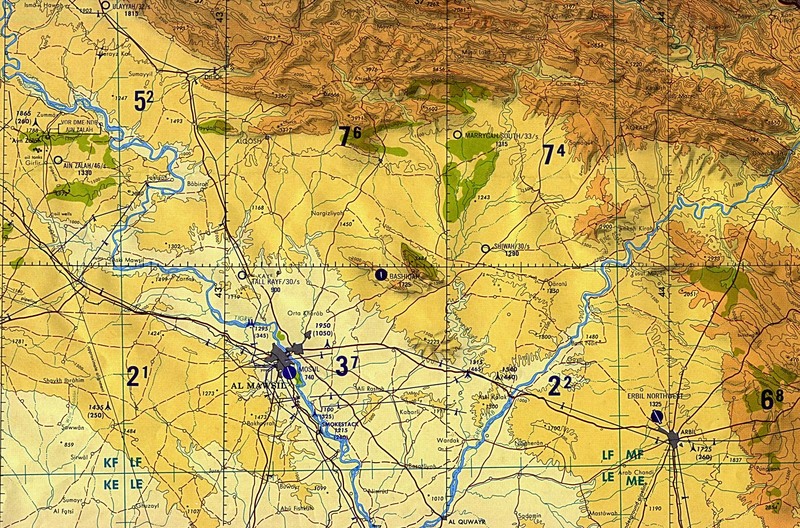 Original scale 1:253,440 Compiled and Reproduced by India Field Survey Company, December 1942. 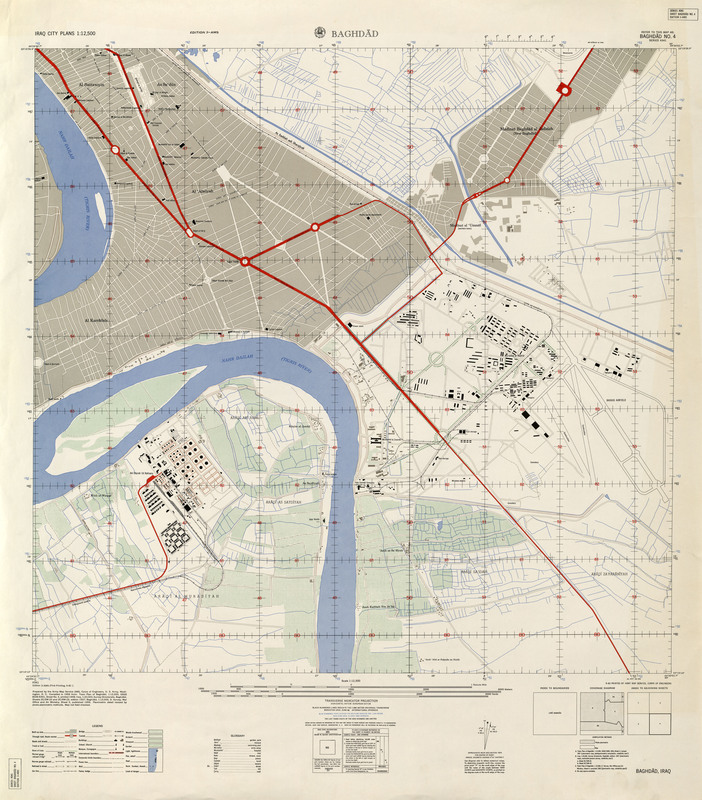 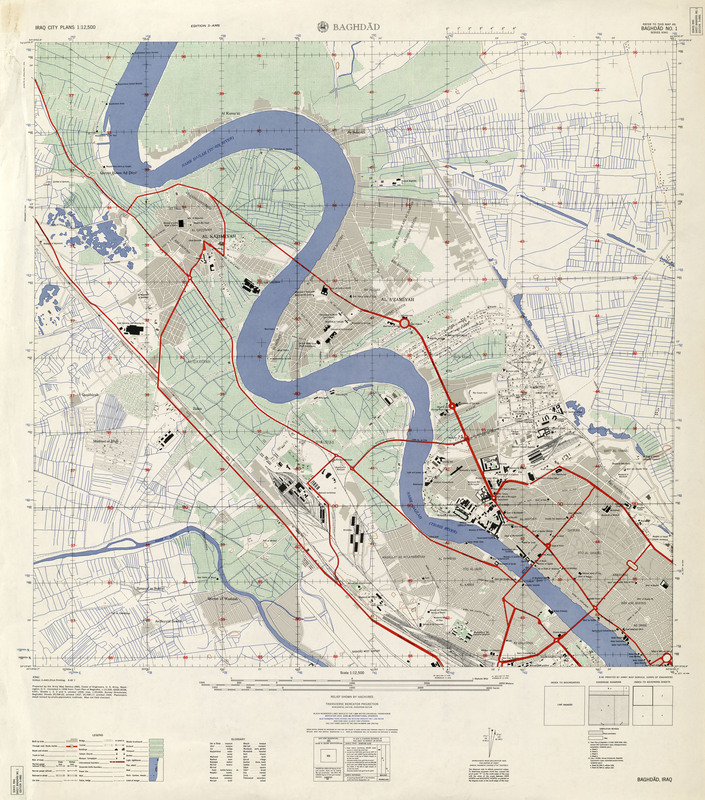 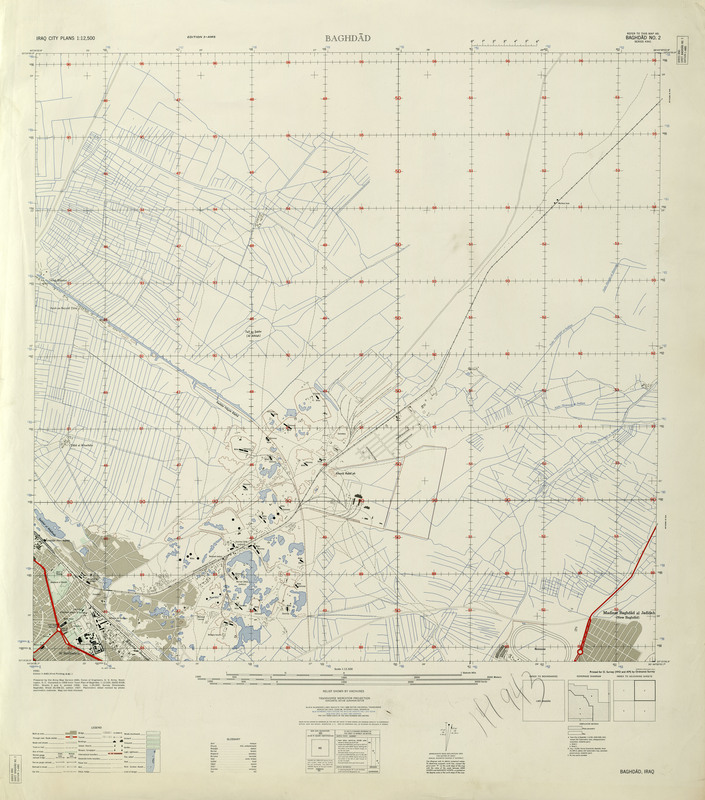 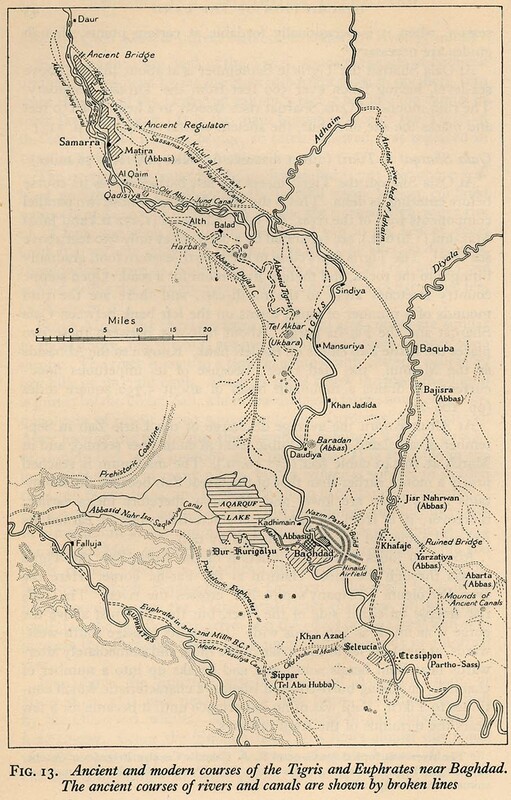 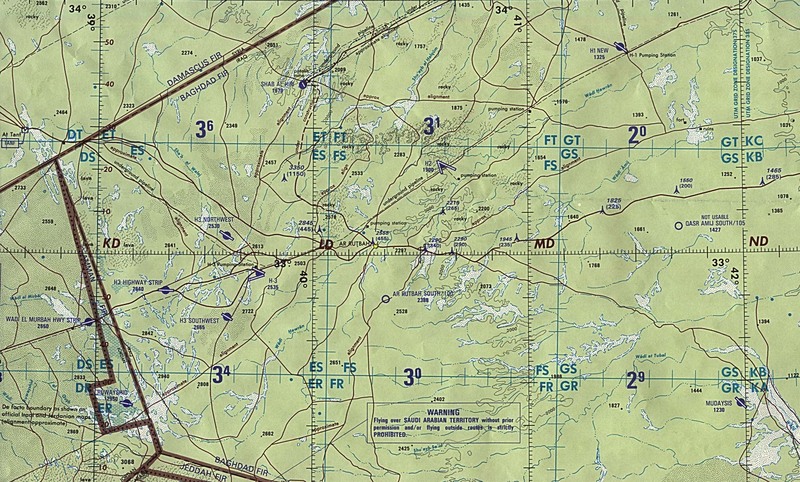 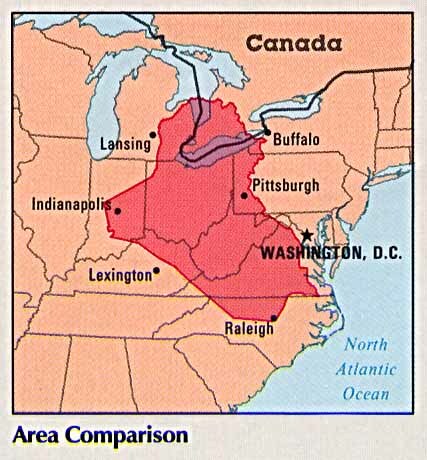 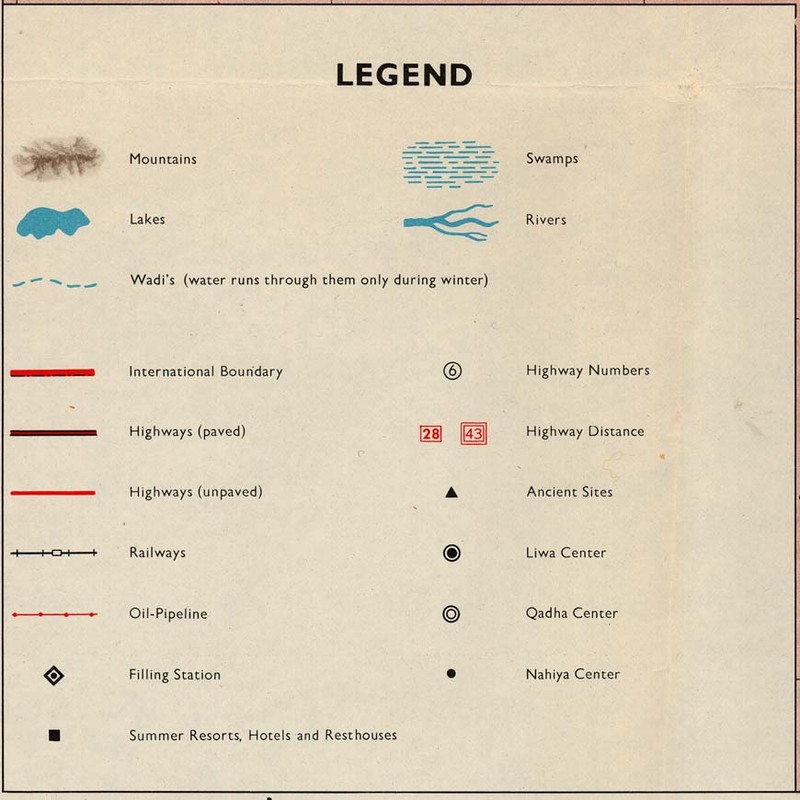 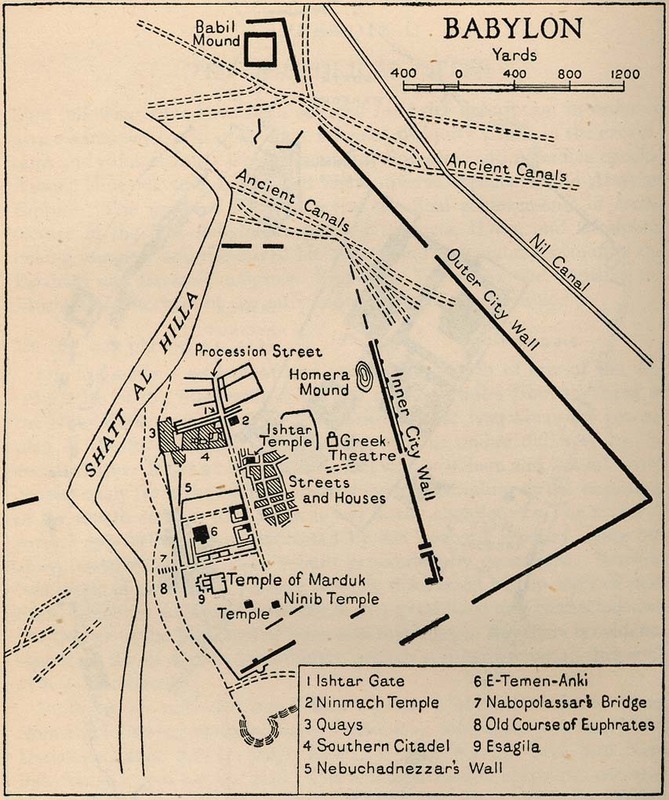 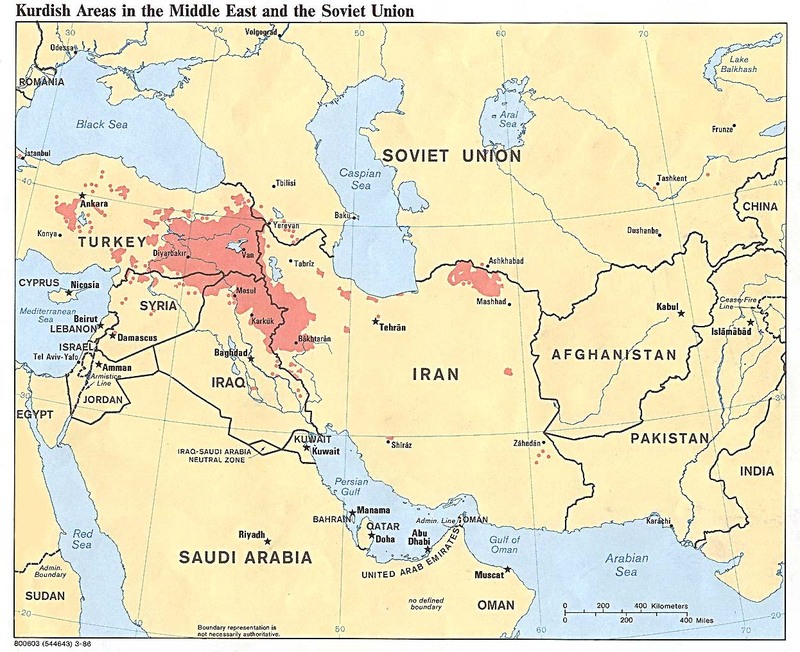 Published by the U.S. Army Map Service, May 1943. 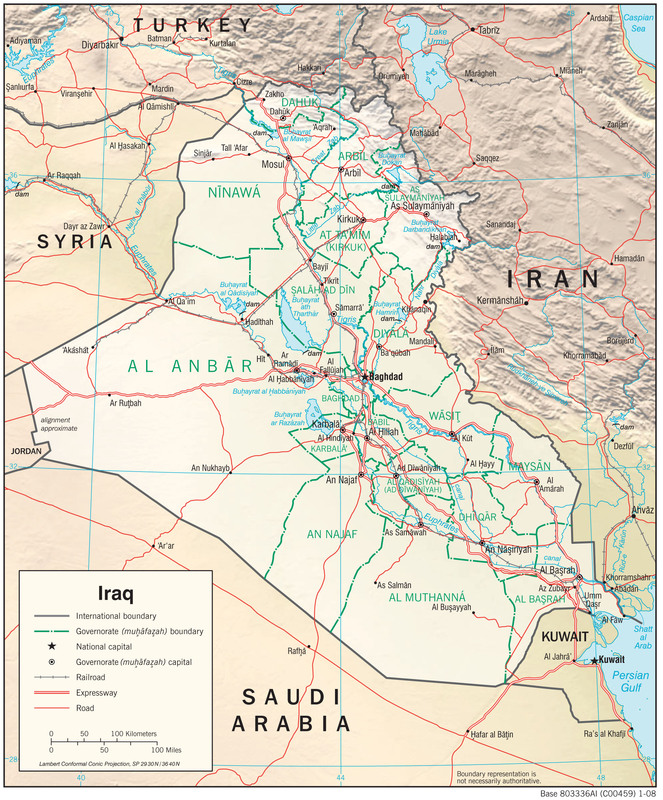 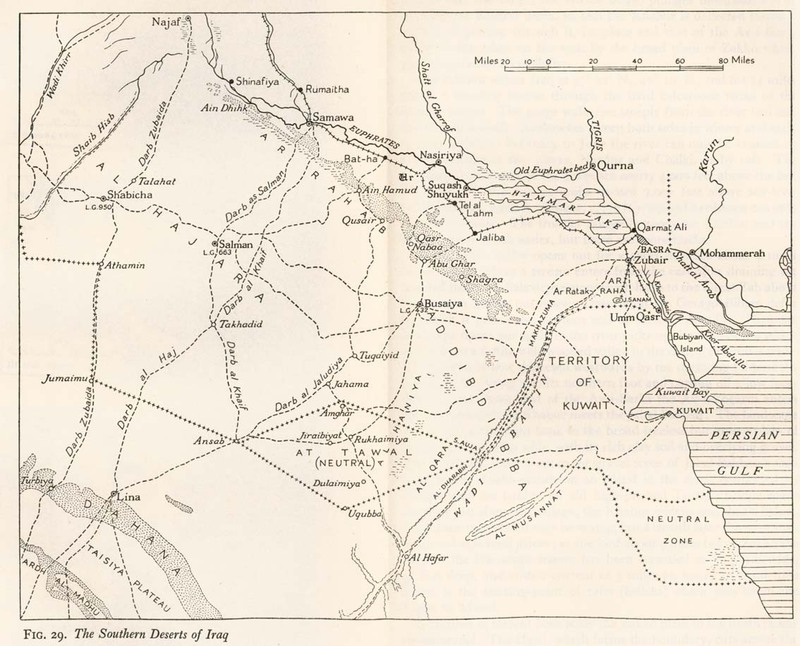 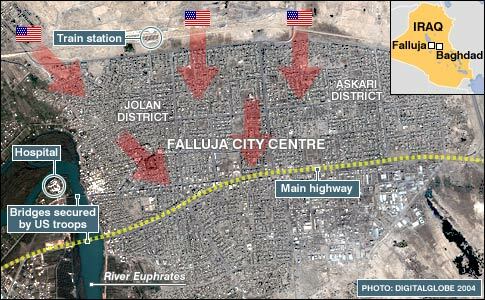 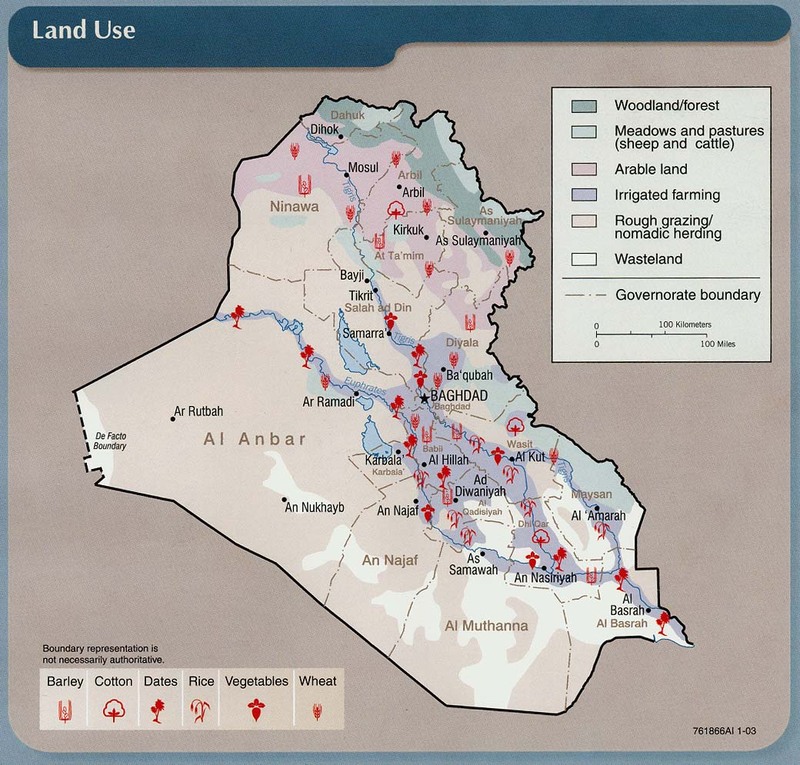 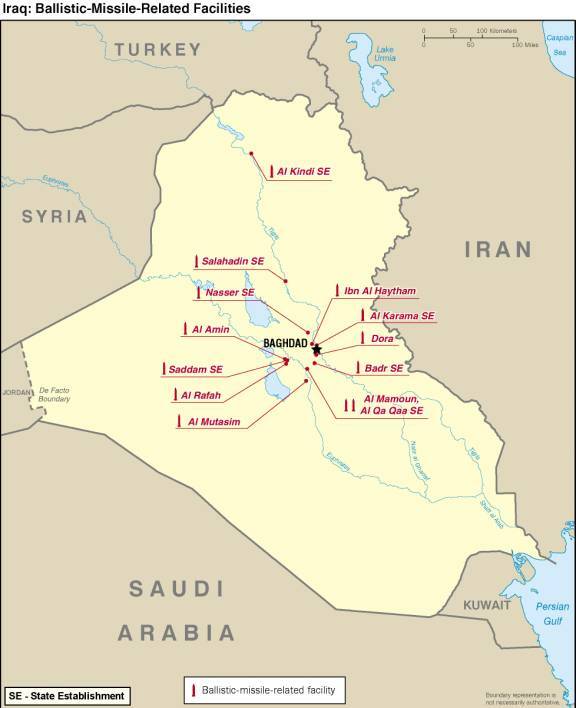 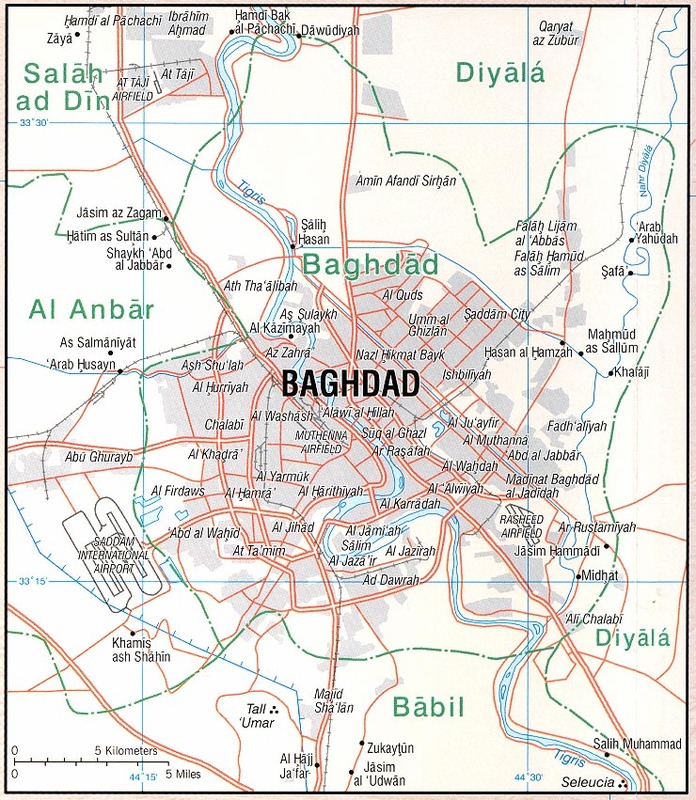 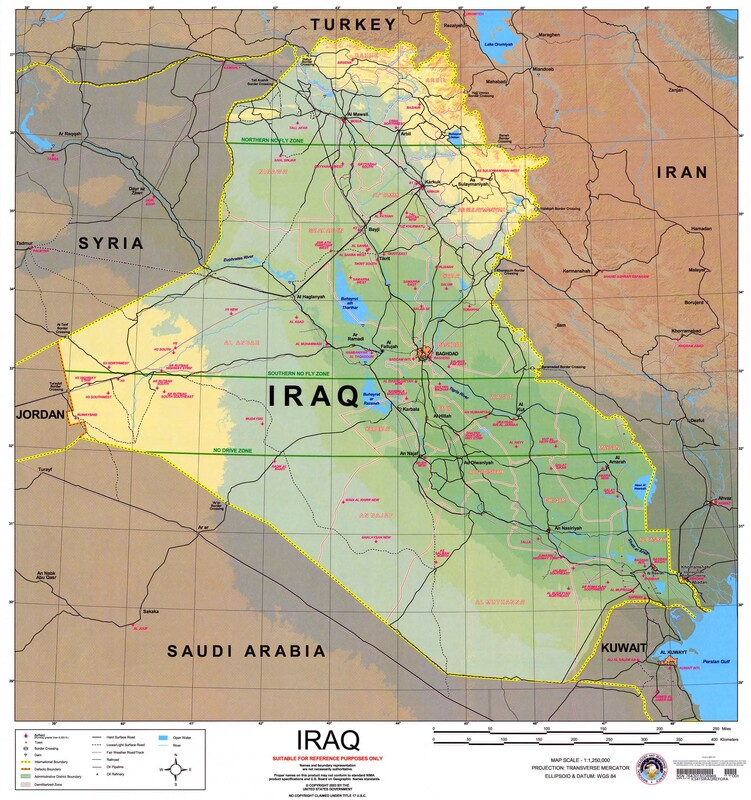 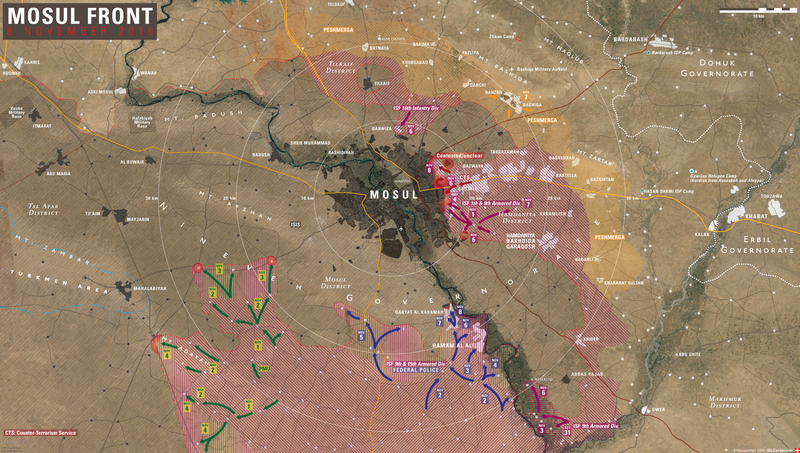 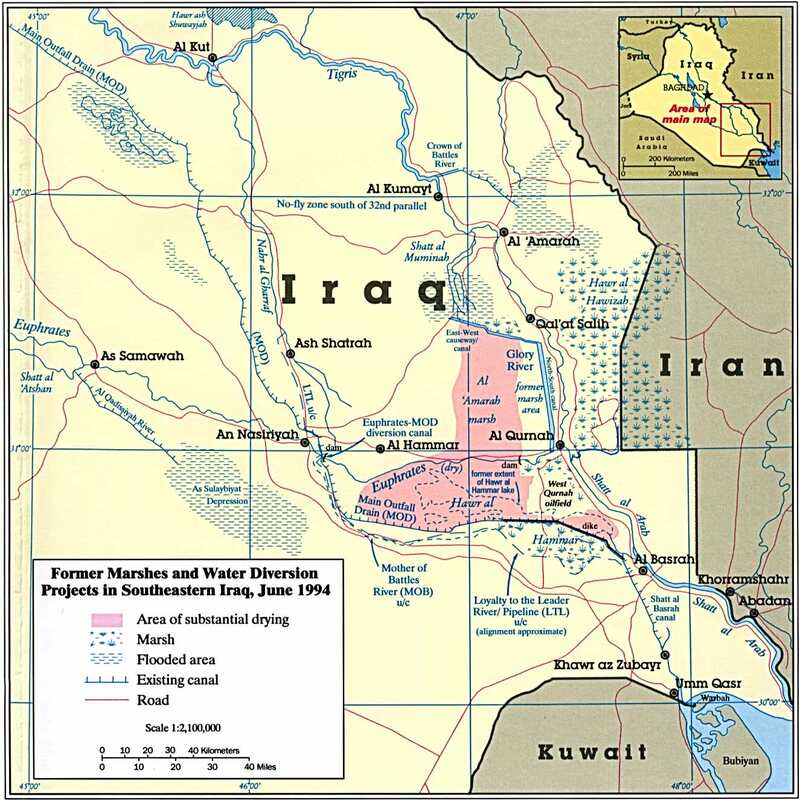 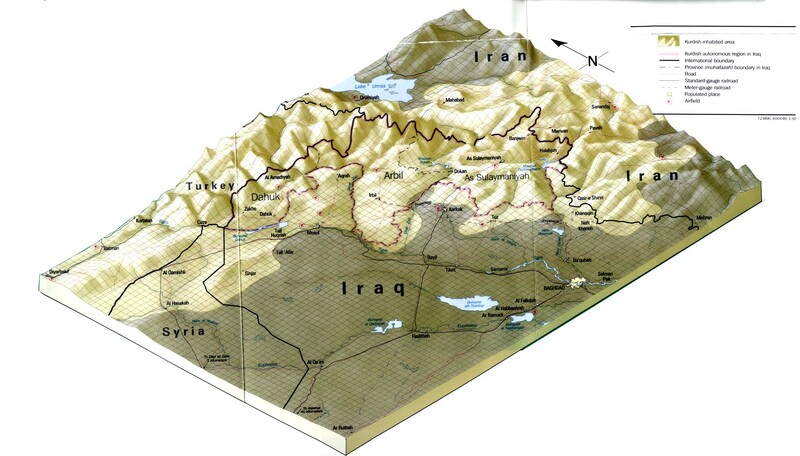 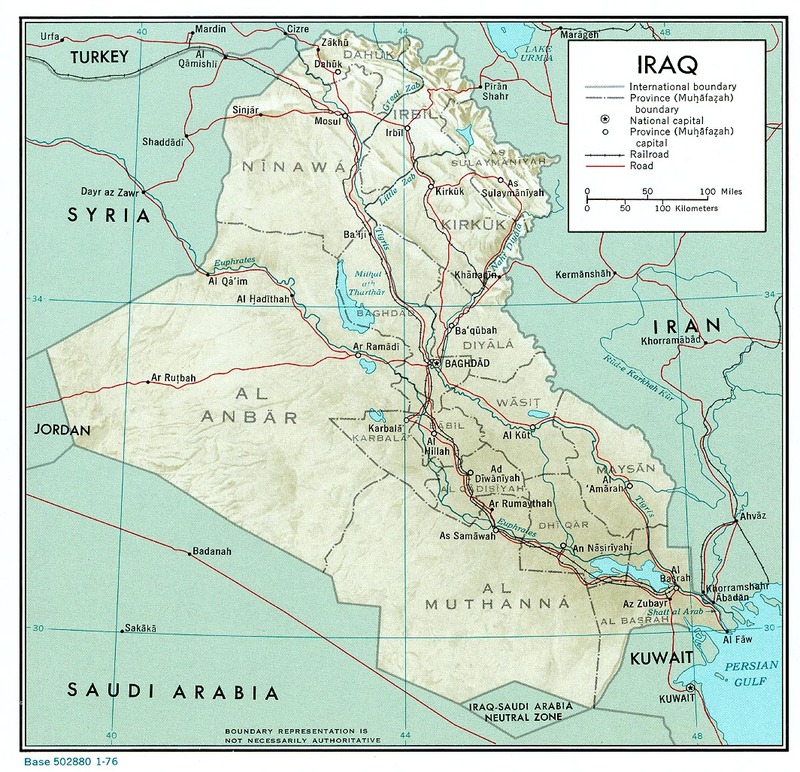 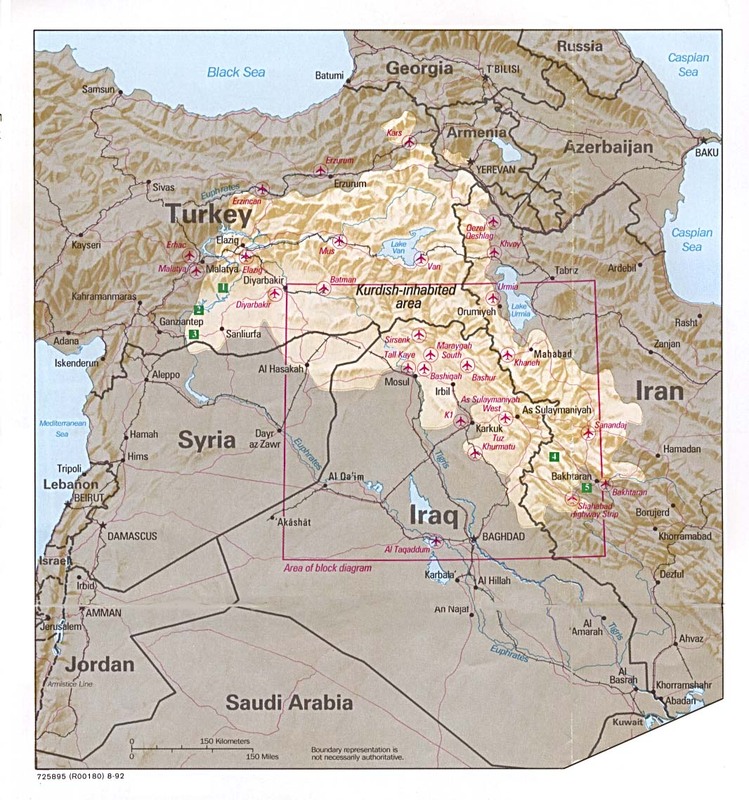 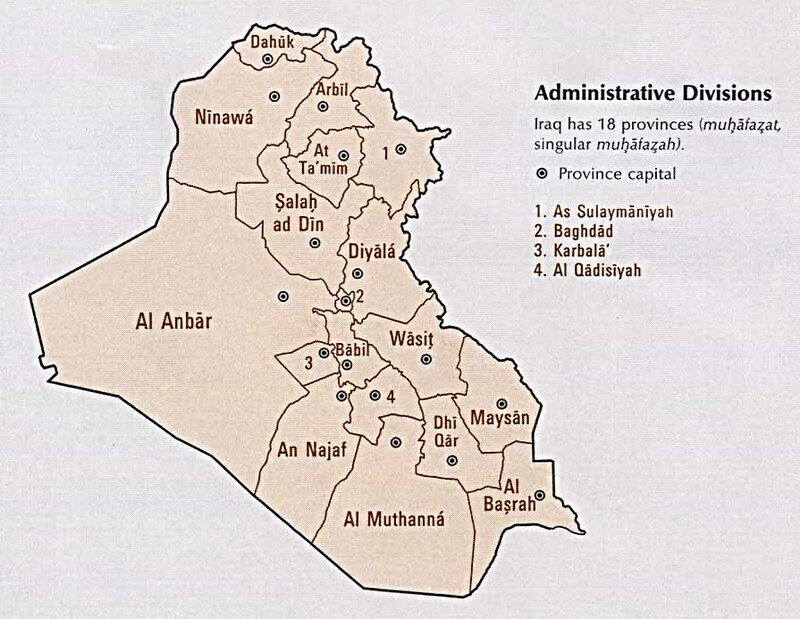 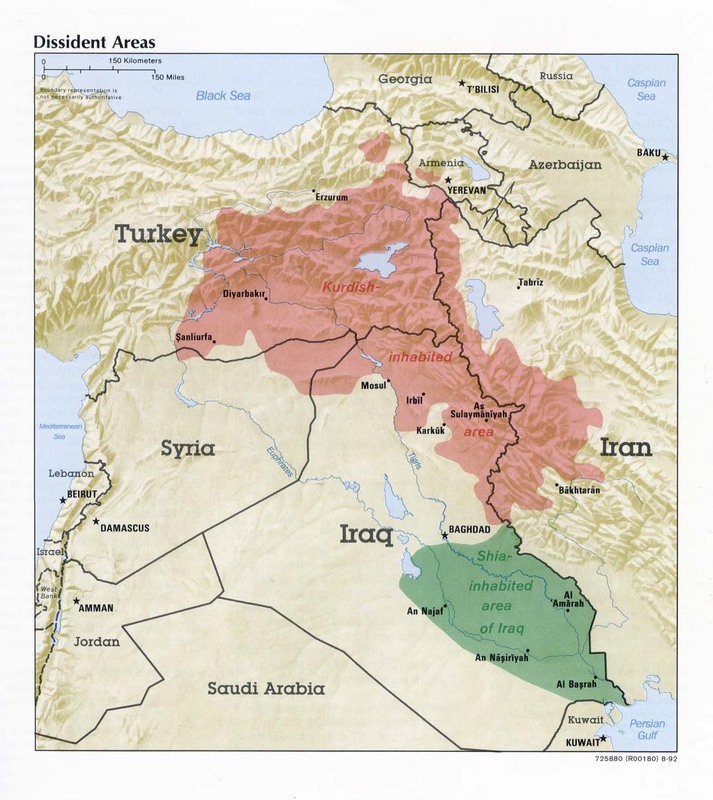 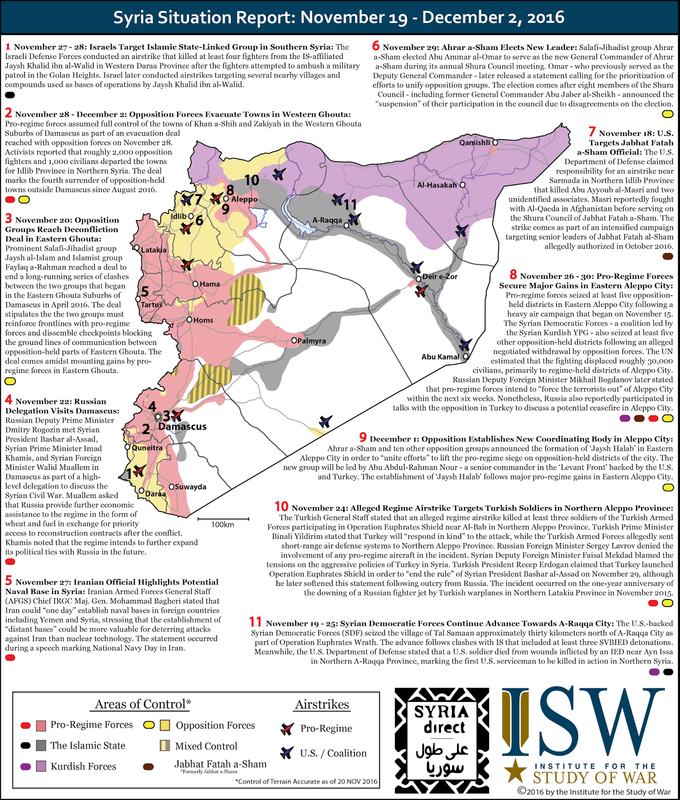 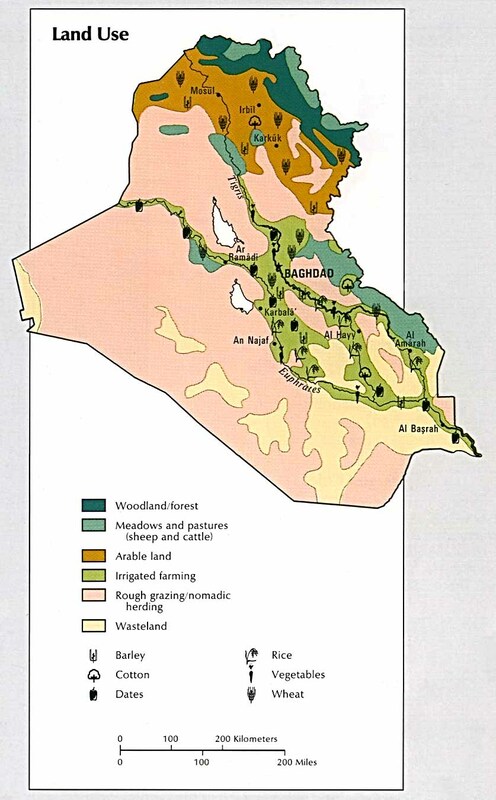 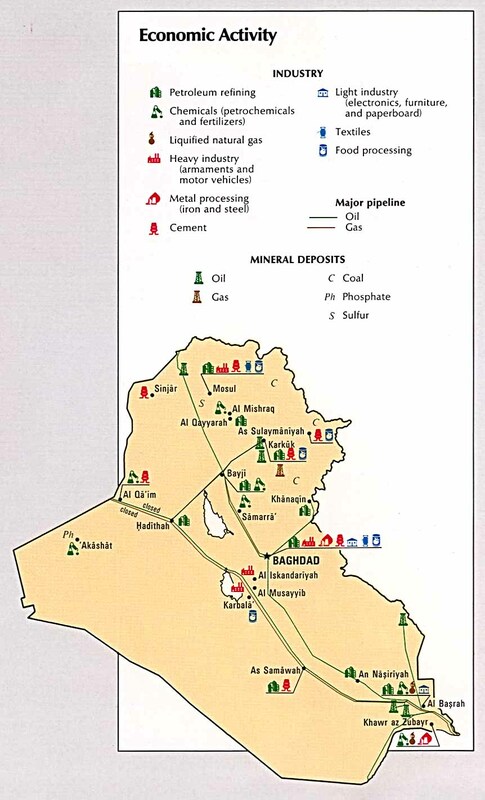 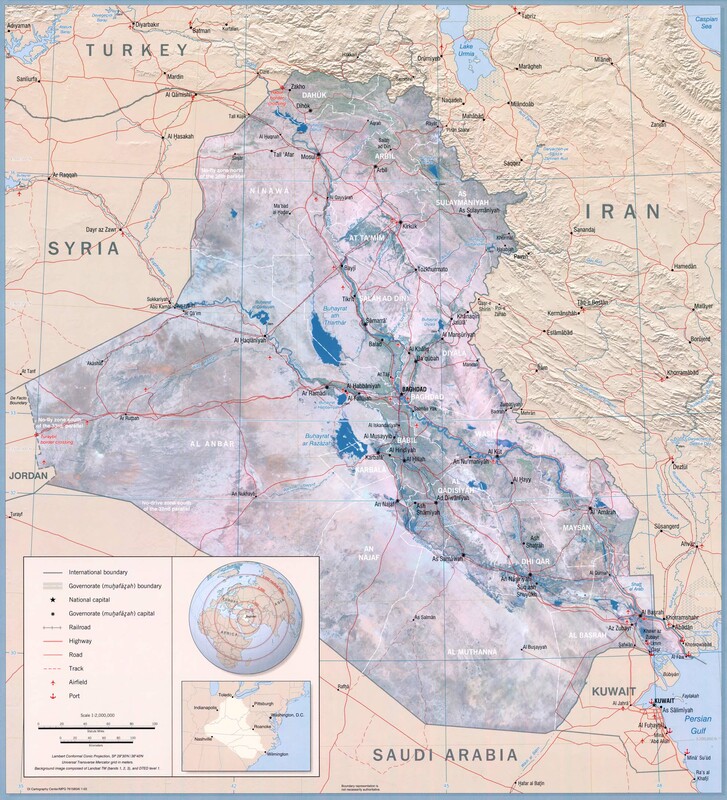 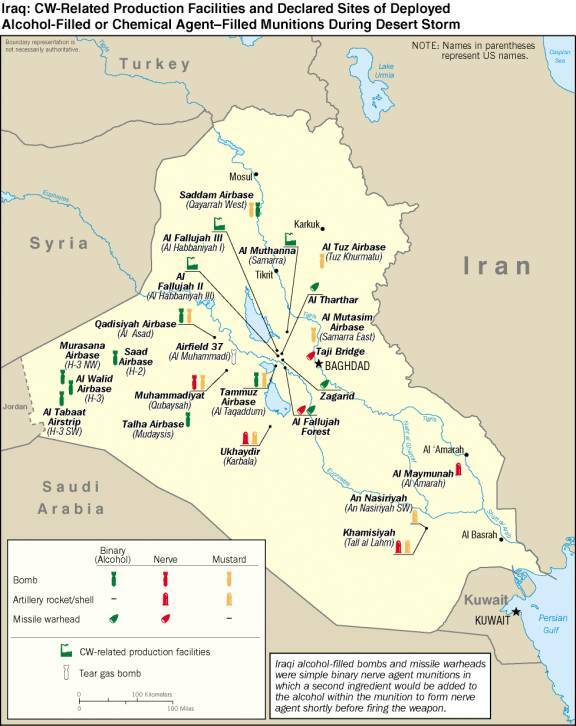 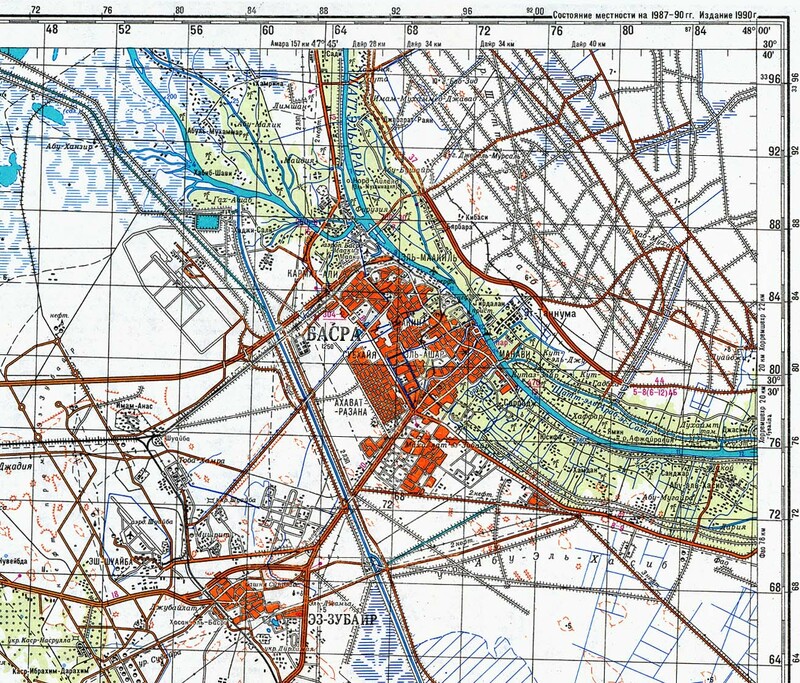 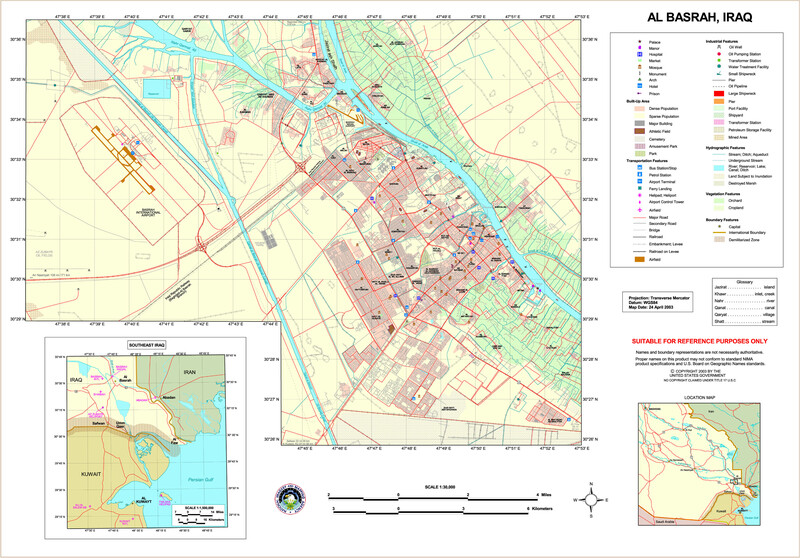 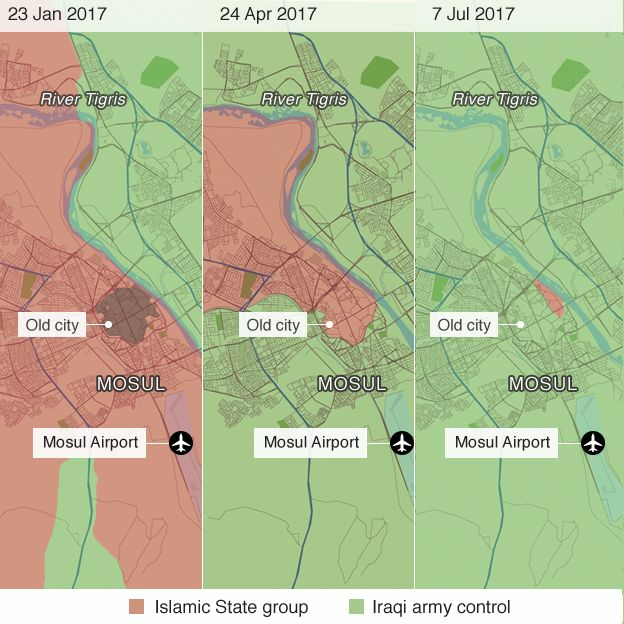 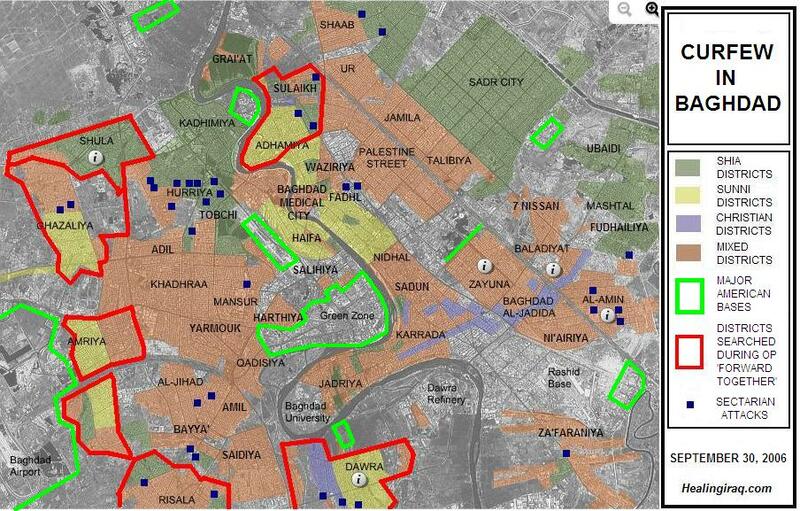 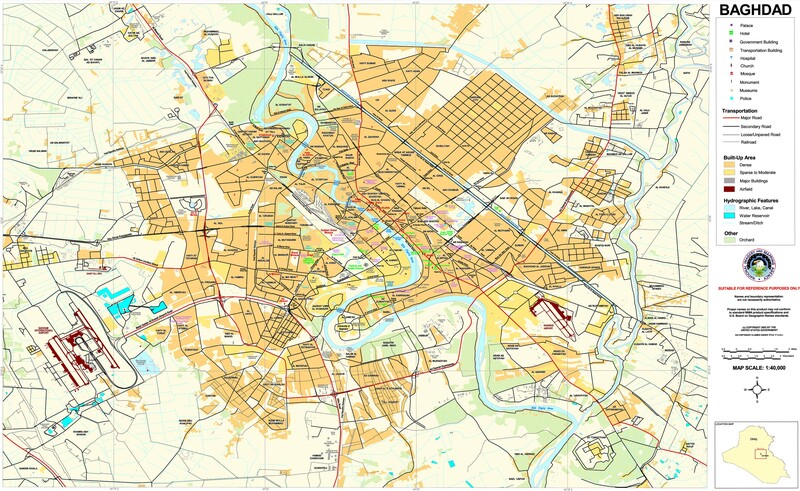 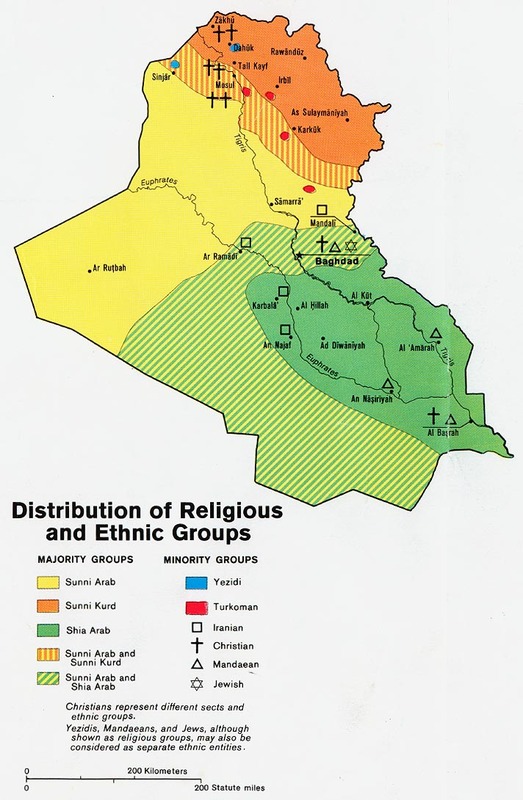 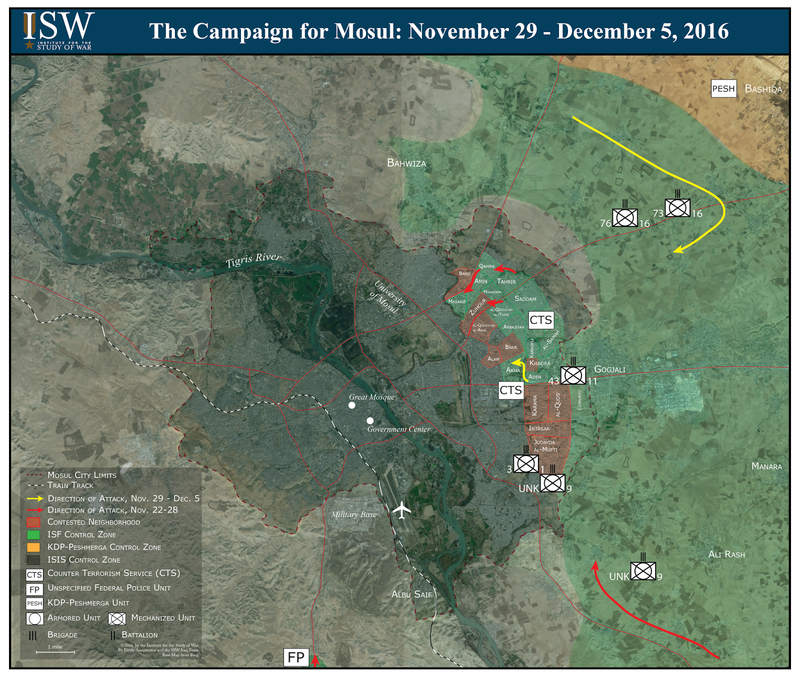 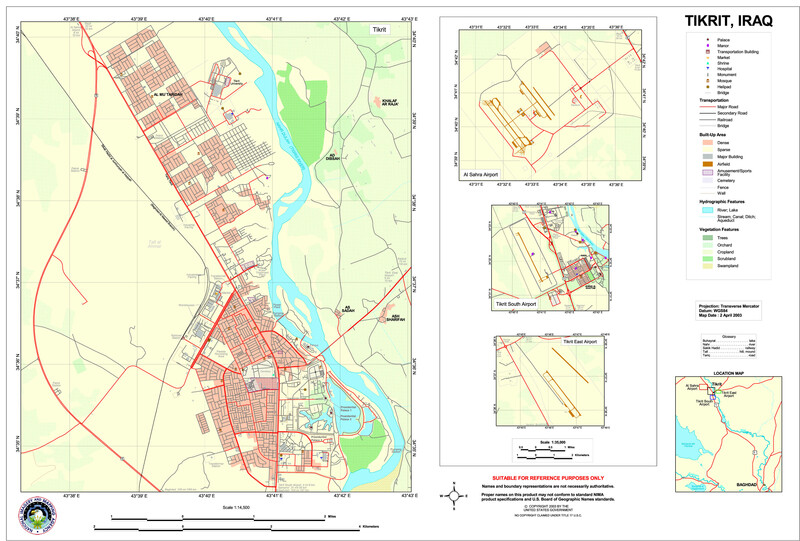 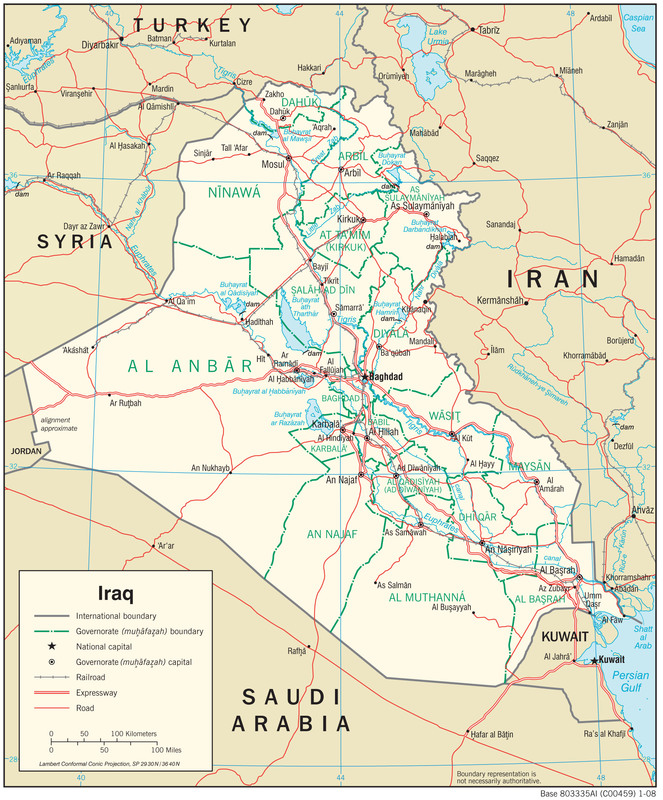 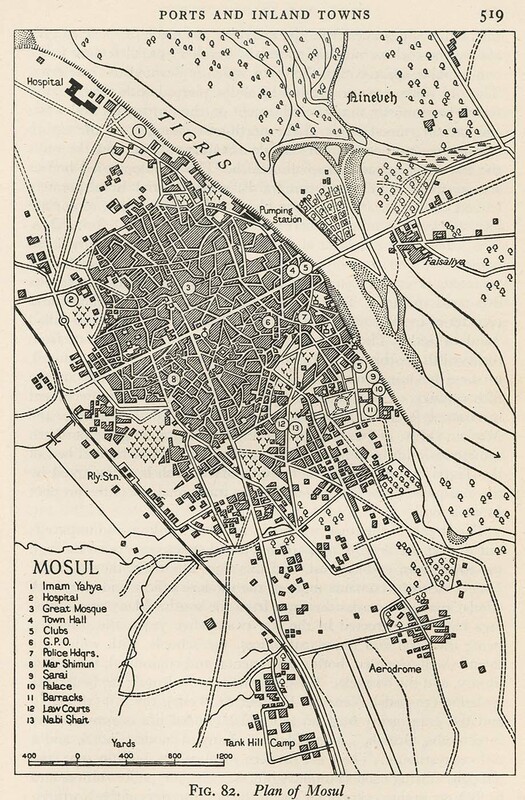 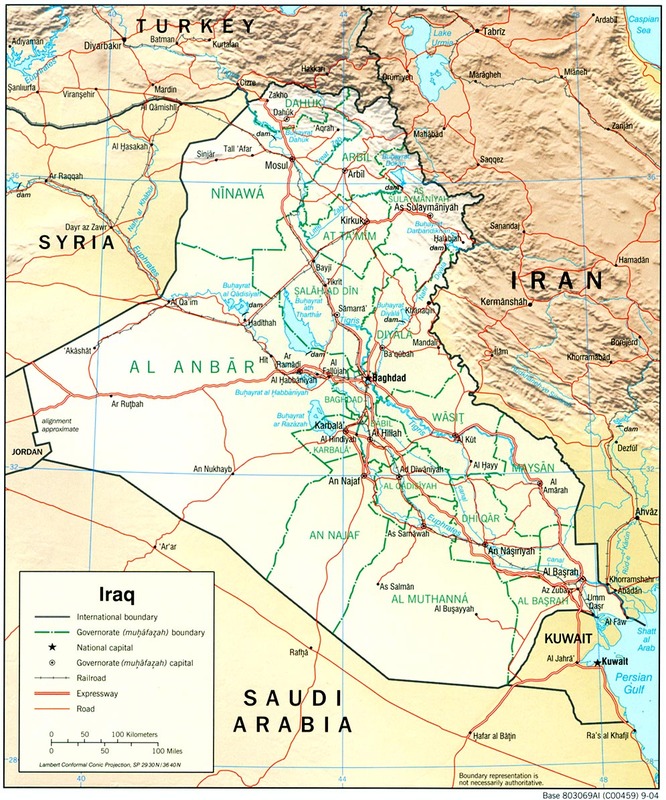 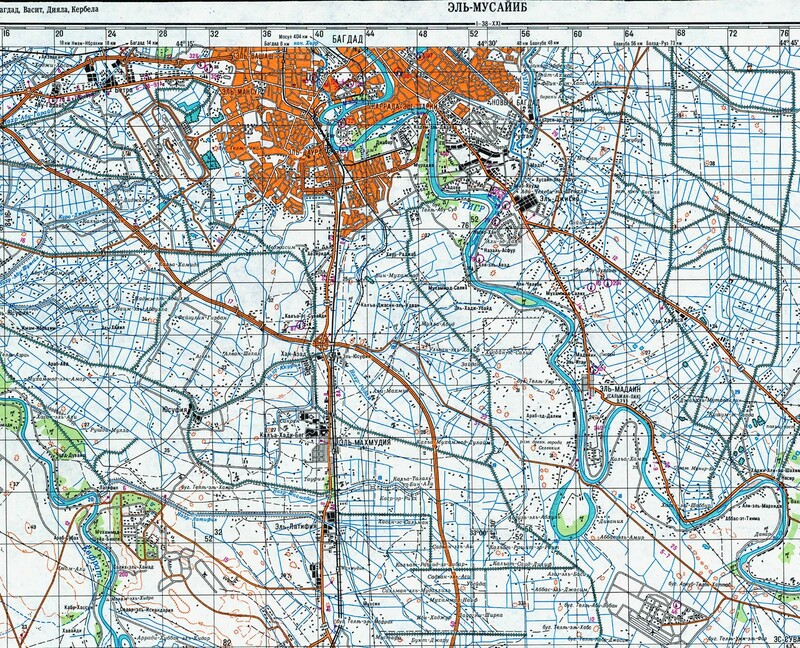 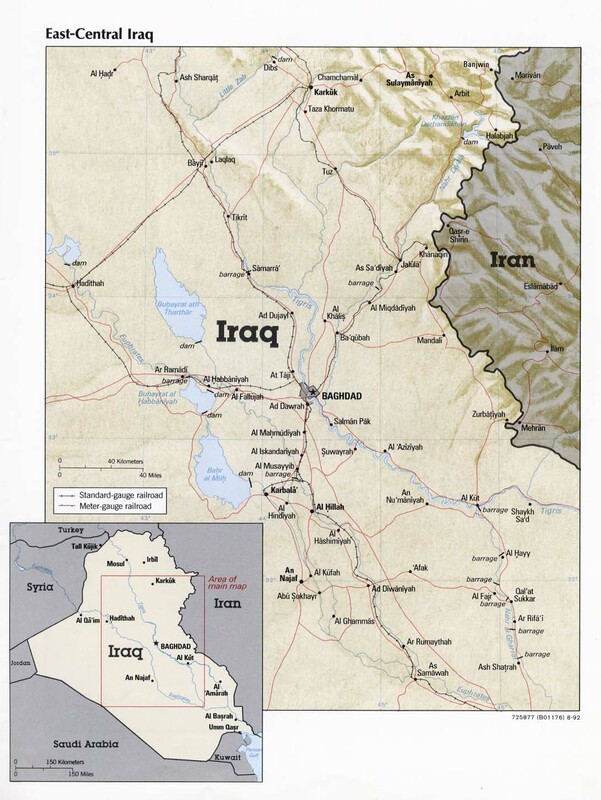 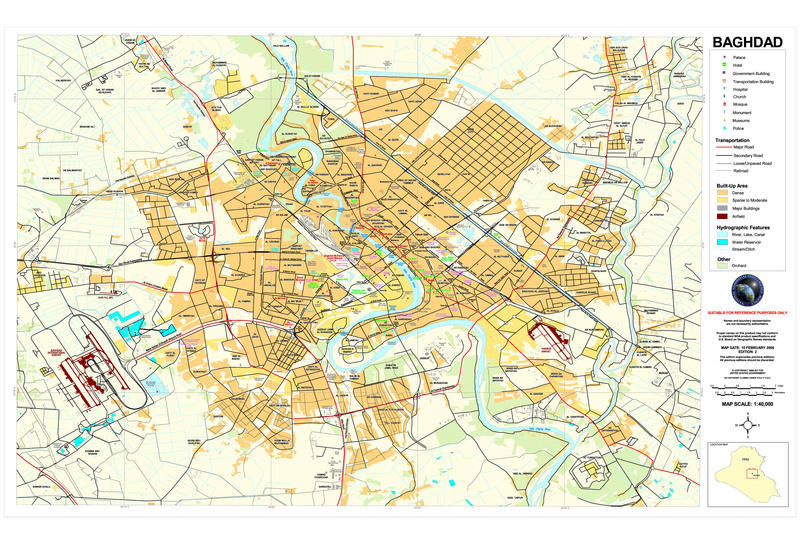 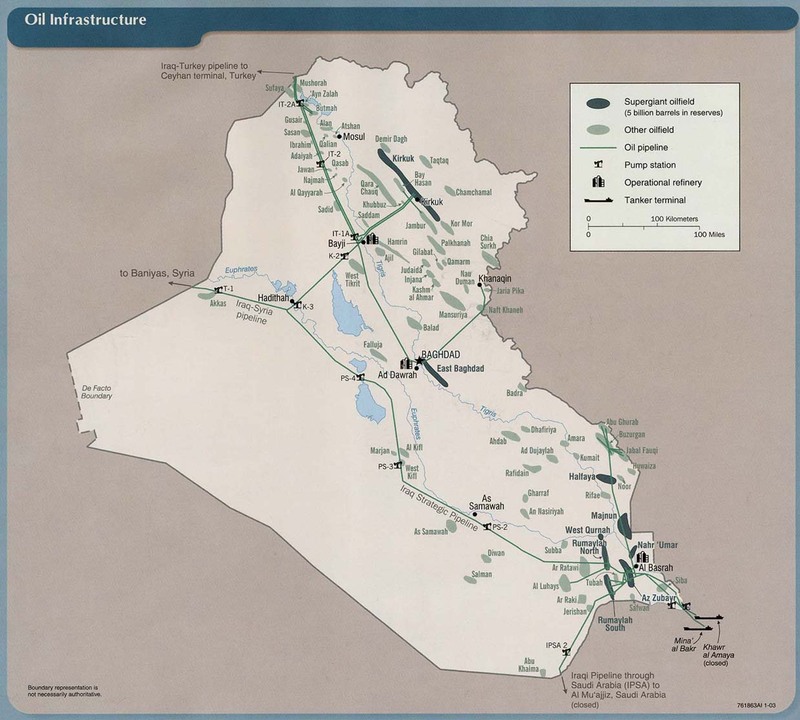 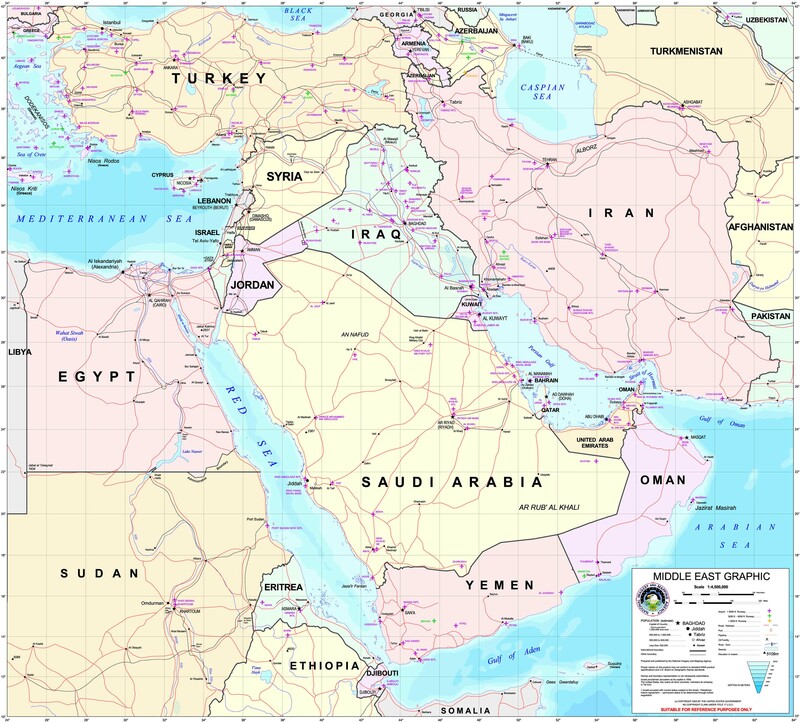 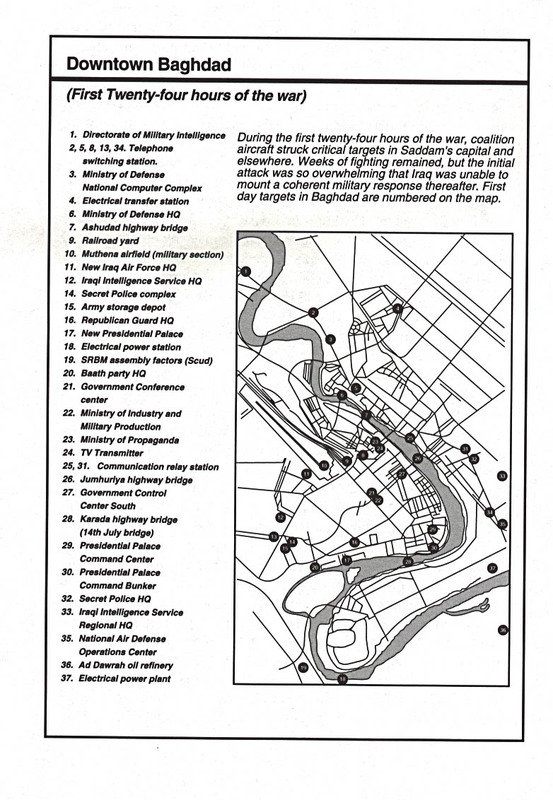 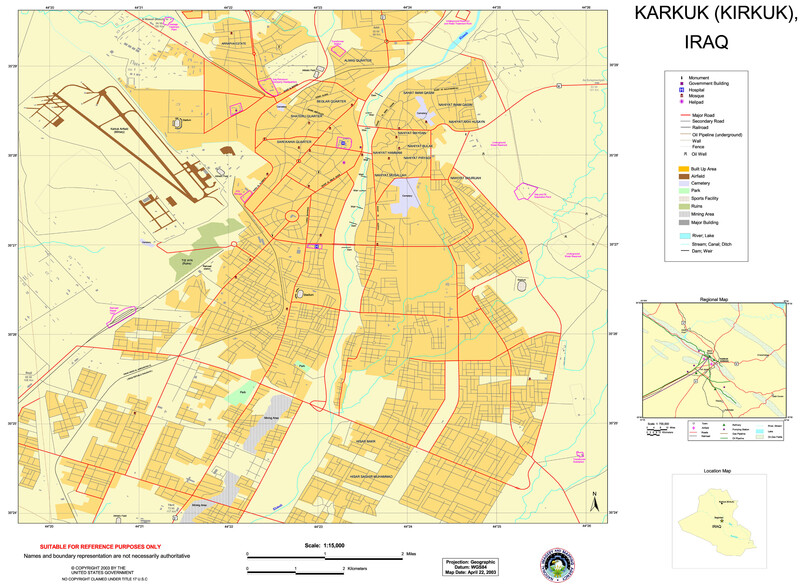 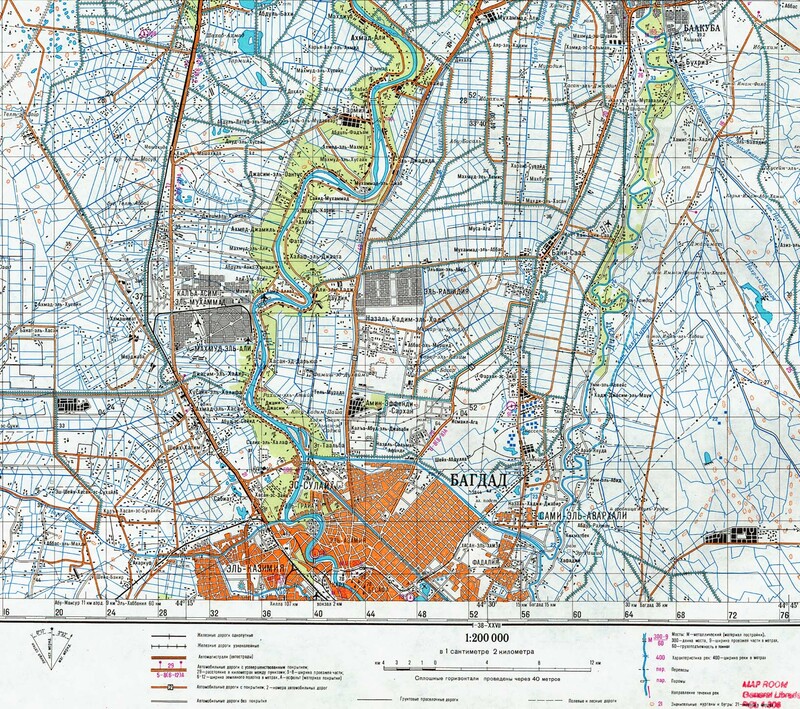 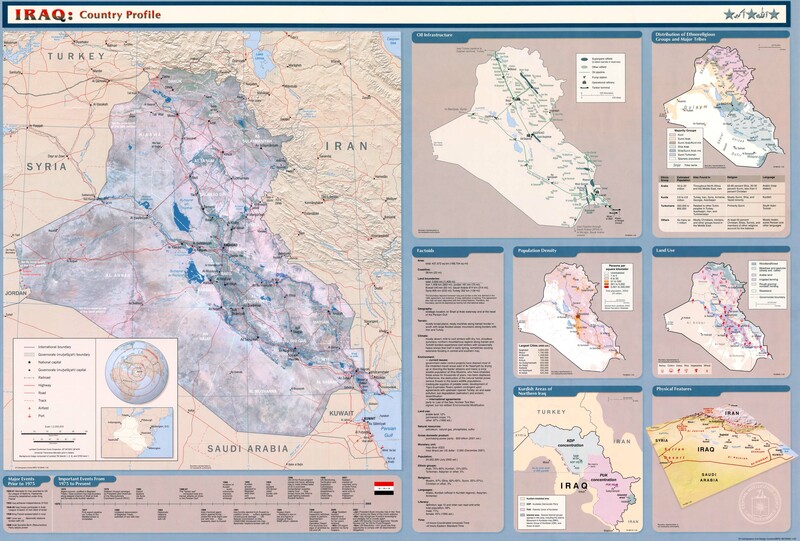 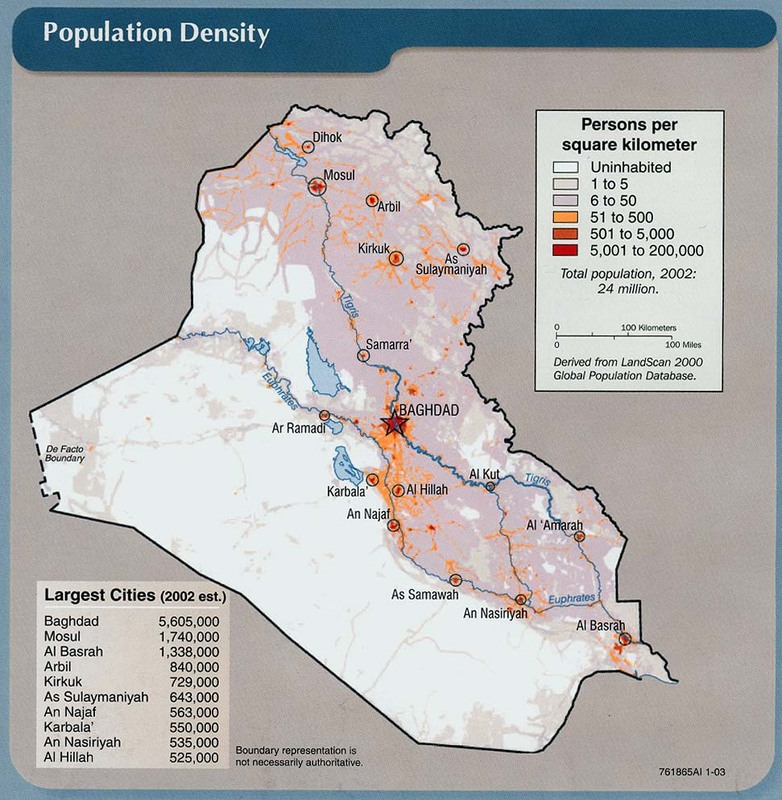 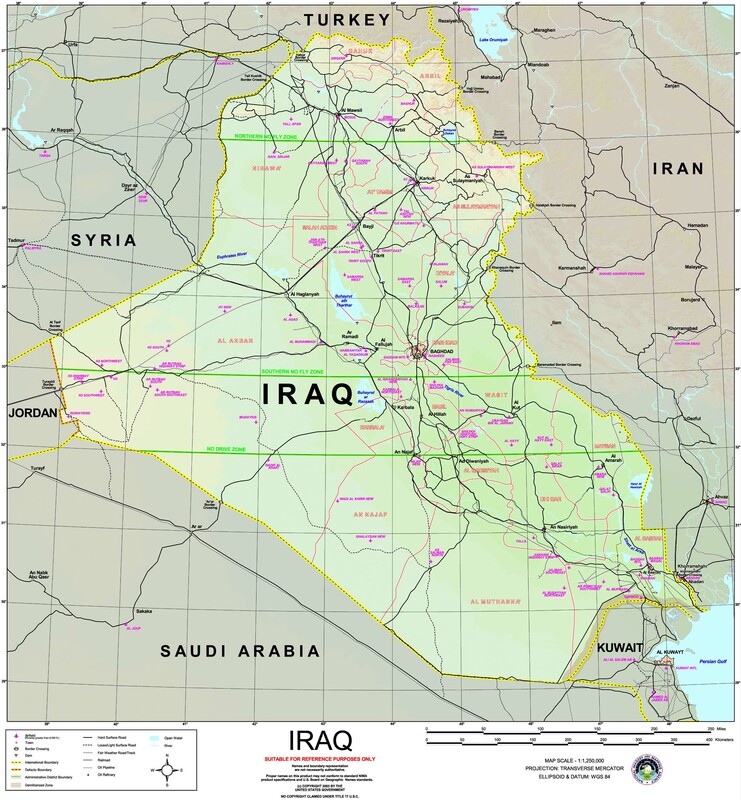 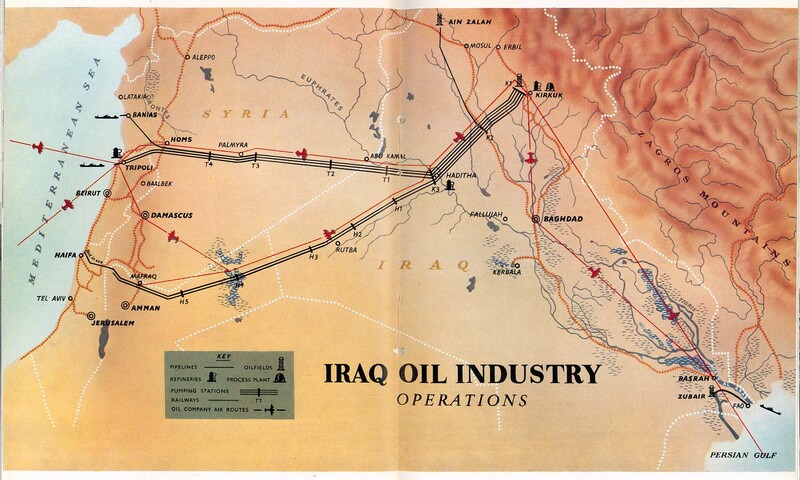 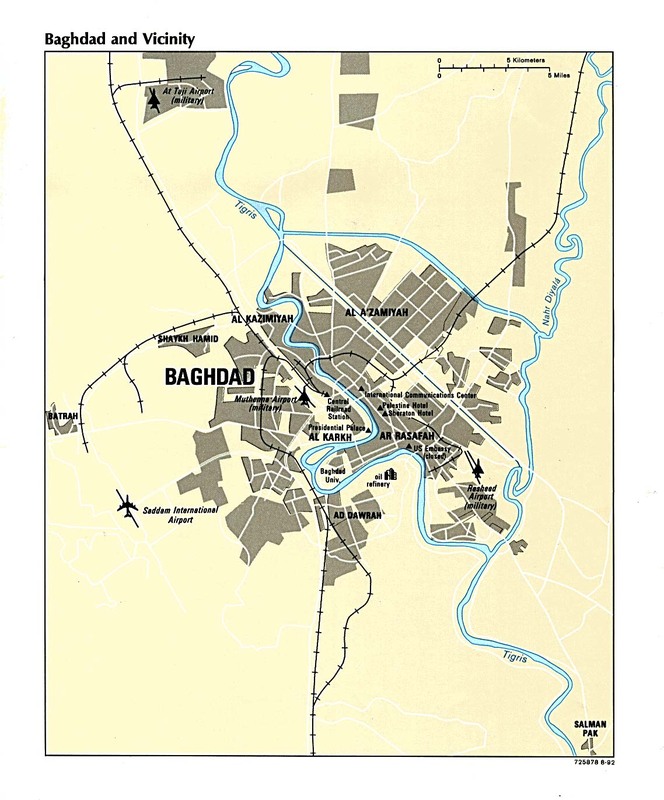 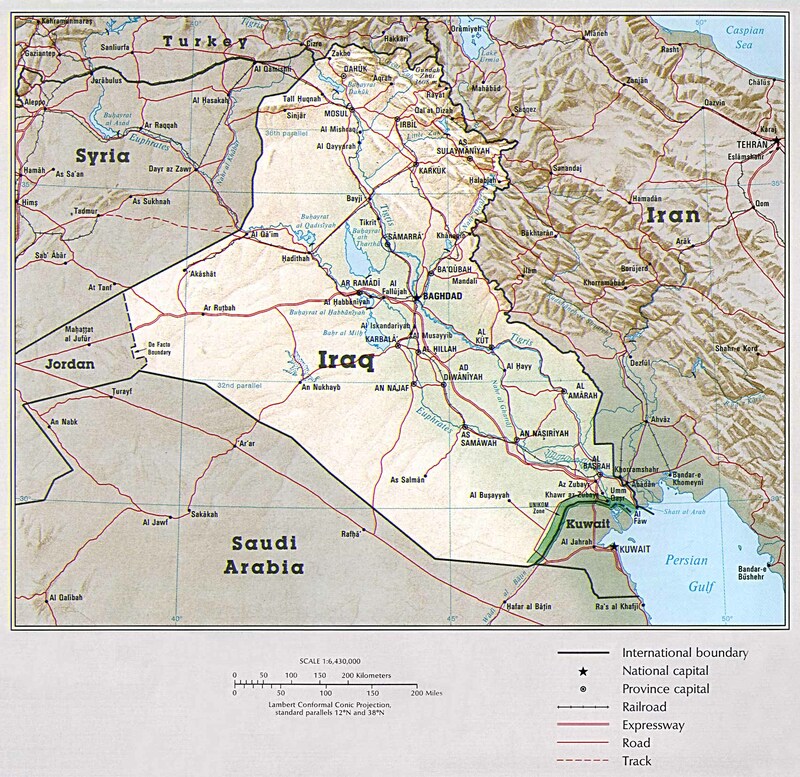 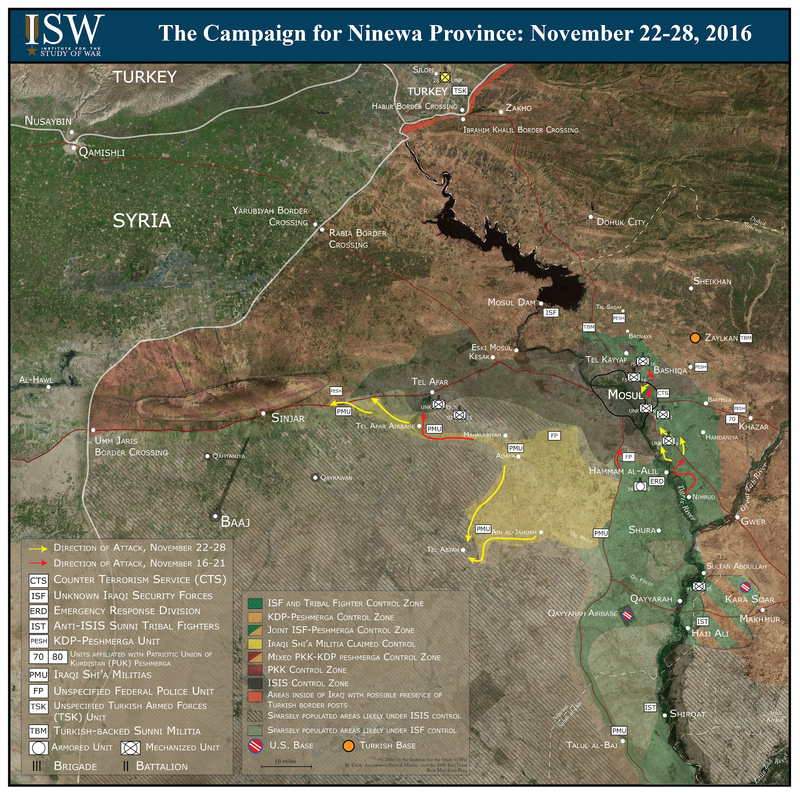 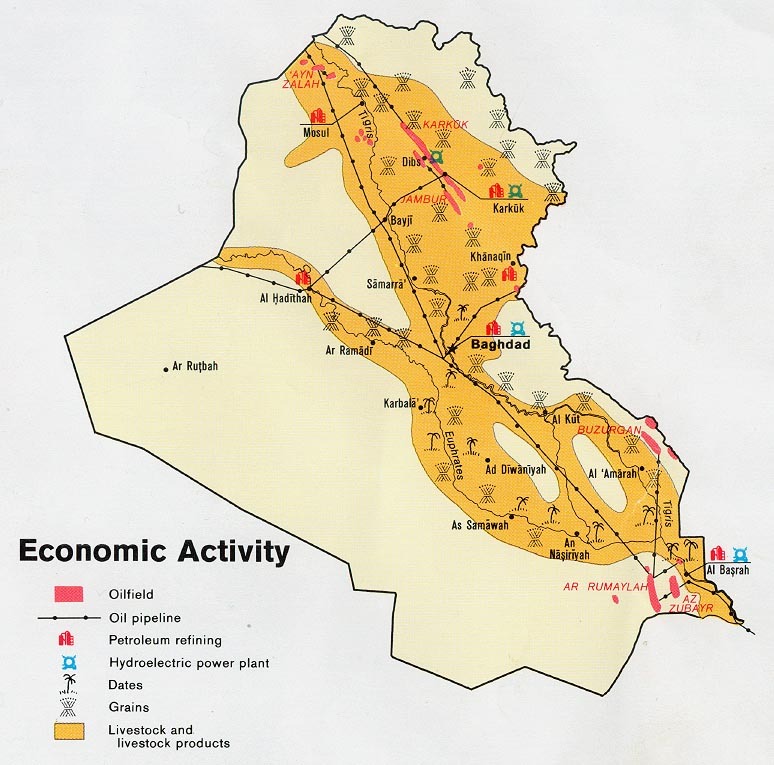 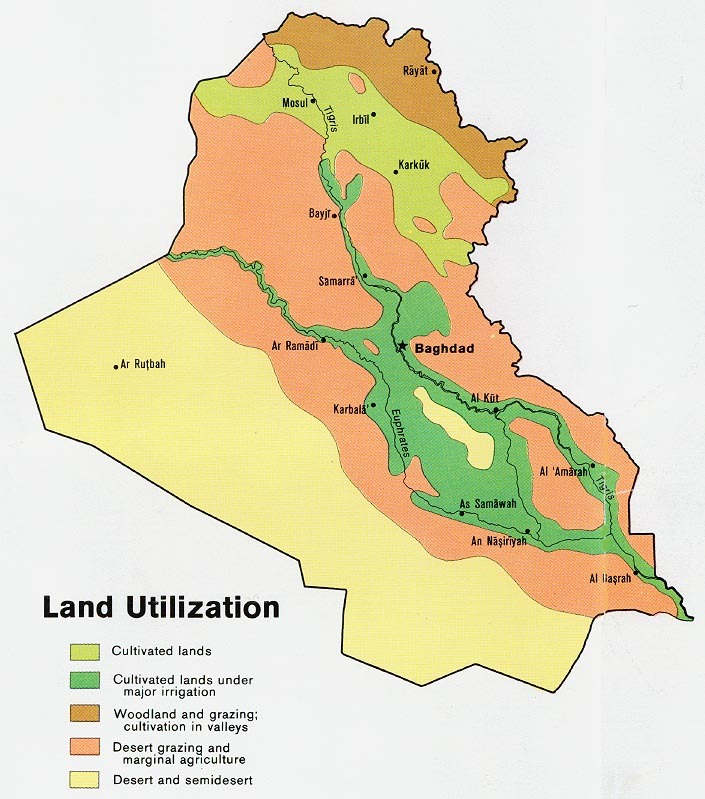 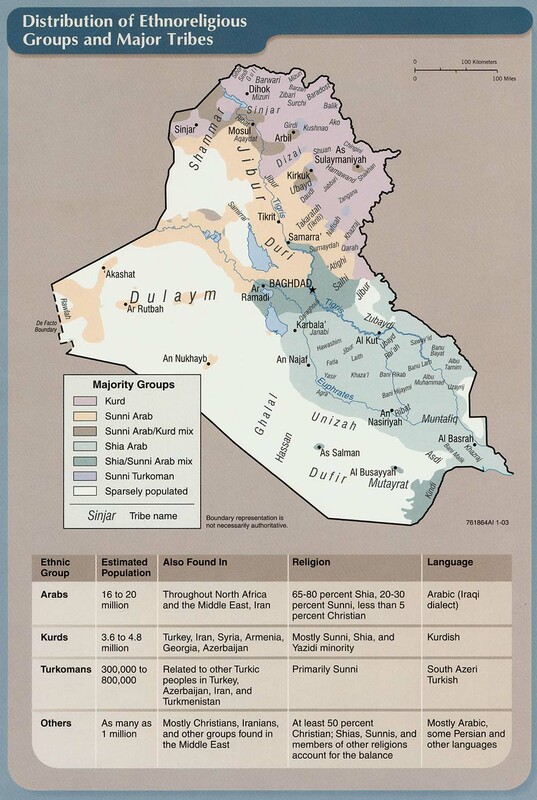 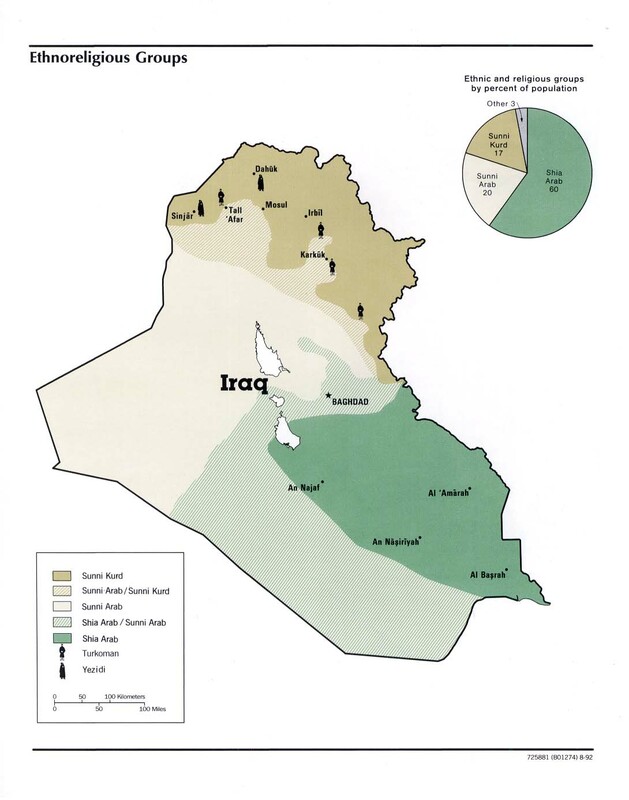 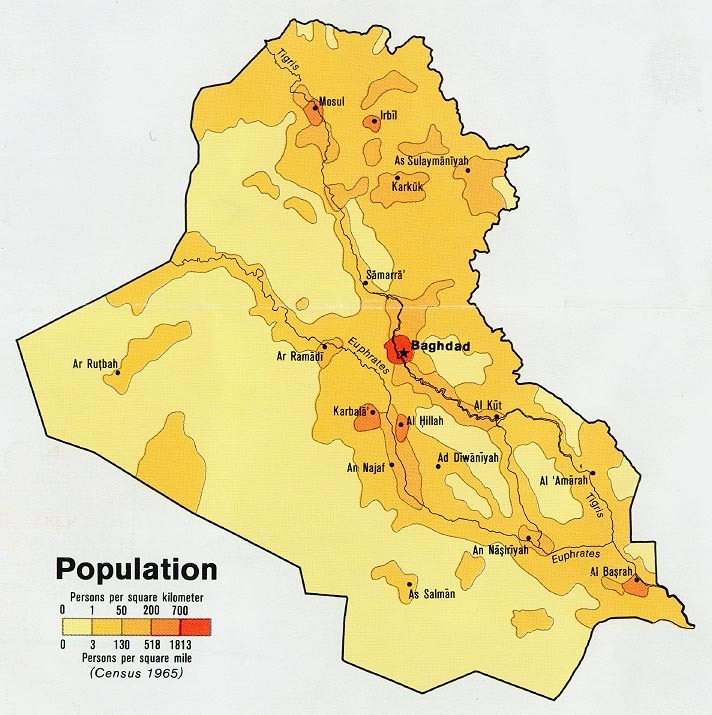 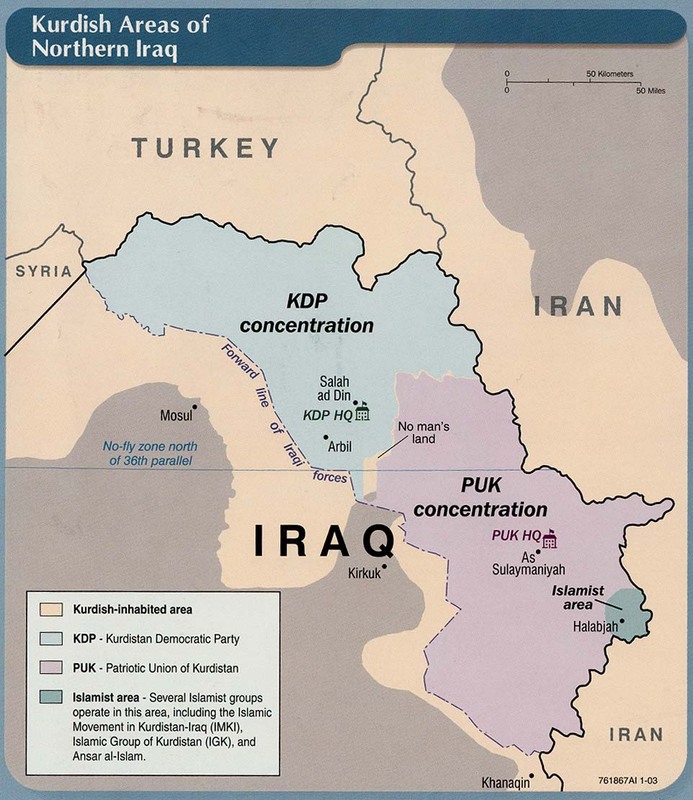 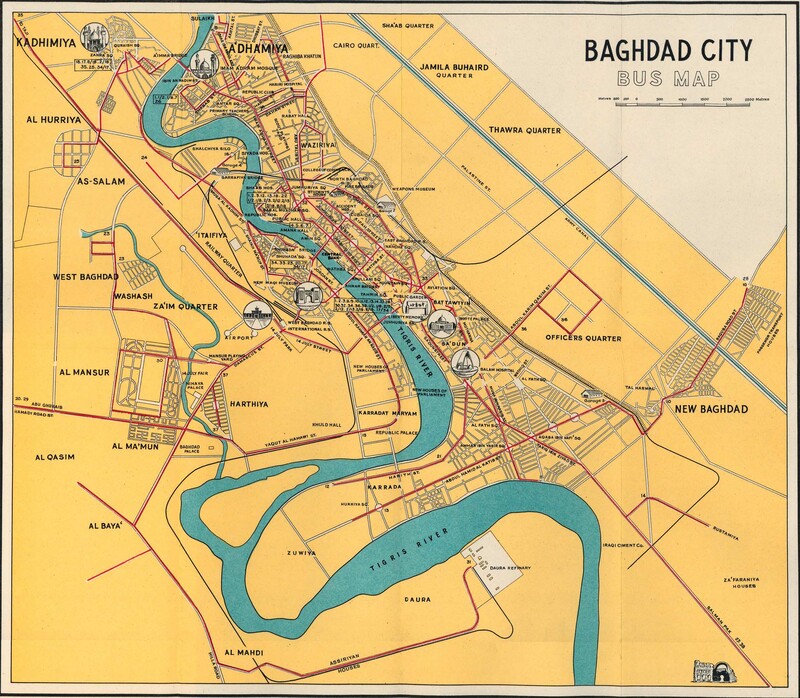 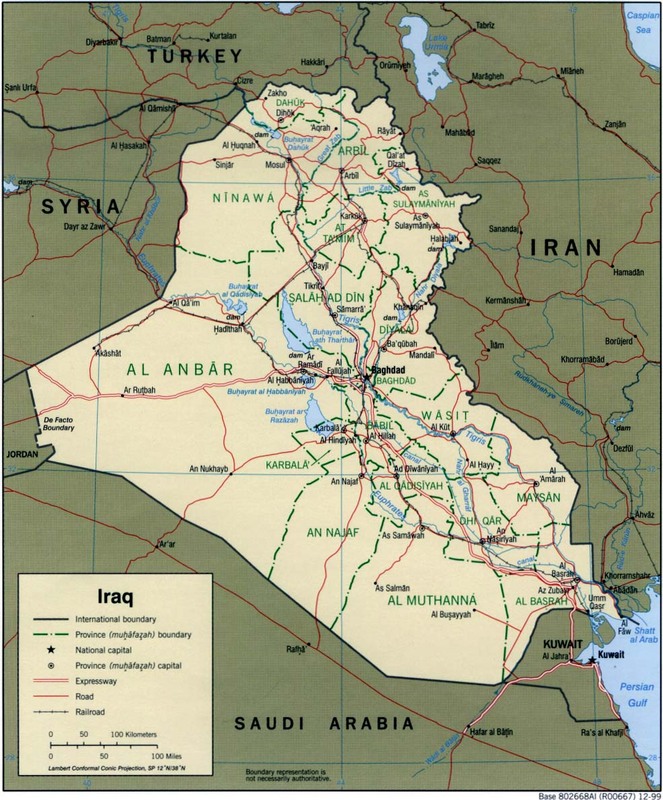 Notes: Additional city/topographic maps are available on: United Nations Assistance Mission for Iraq, archived maps, including maps for Amarah, Baghdad, Basrah, Dahuk, Diwaniya, Erbil, Fallujah, Hilla, Kerbala, Kirkuk, Kufa, Kut, Mosul, Najaf, Nassriyah, Ramadi, Samawah, Sulaymaniyah, Tikrit and Umn Qasr. 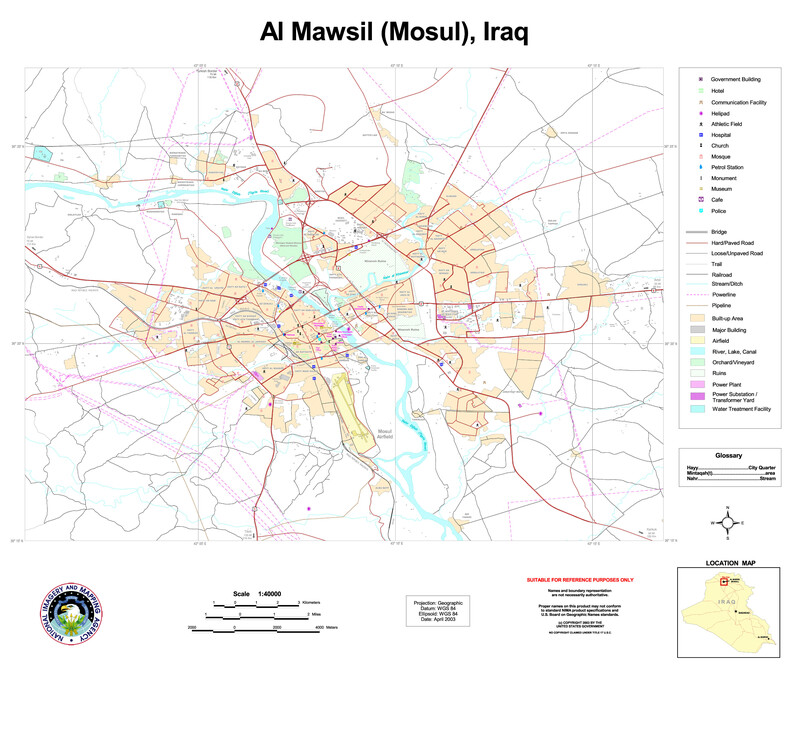 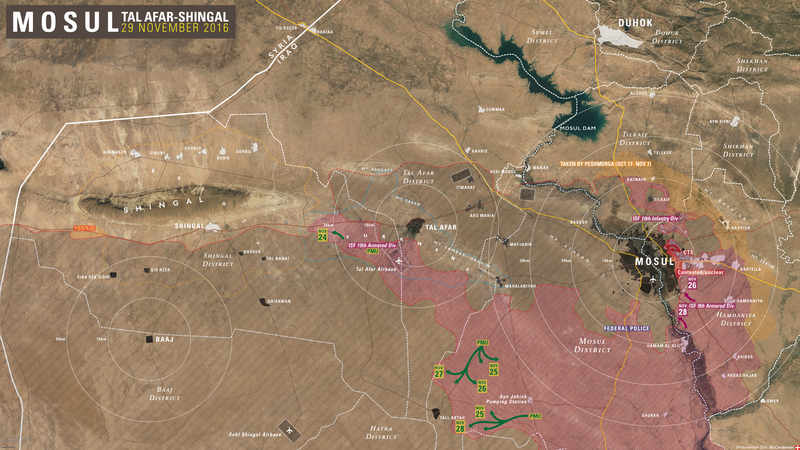 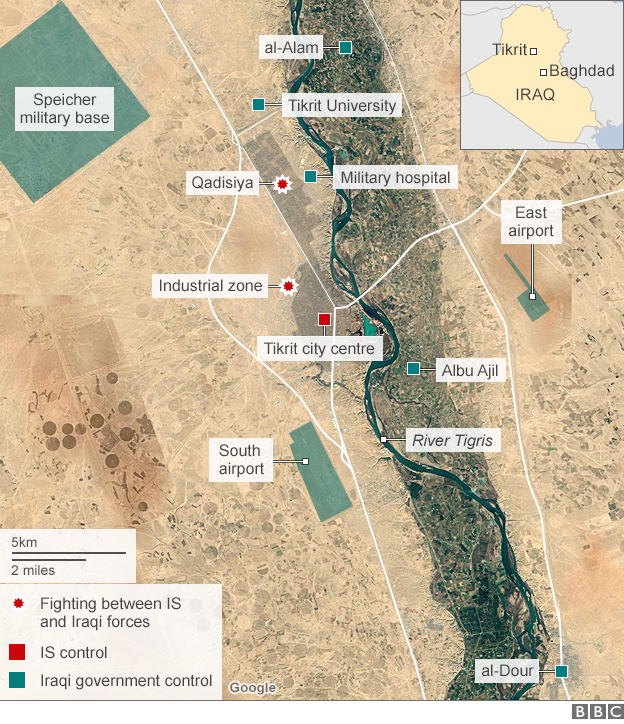 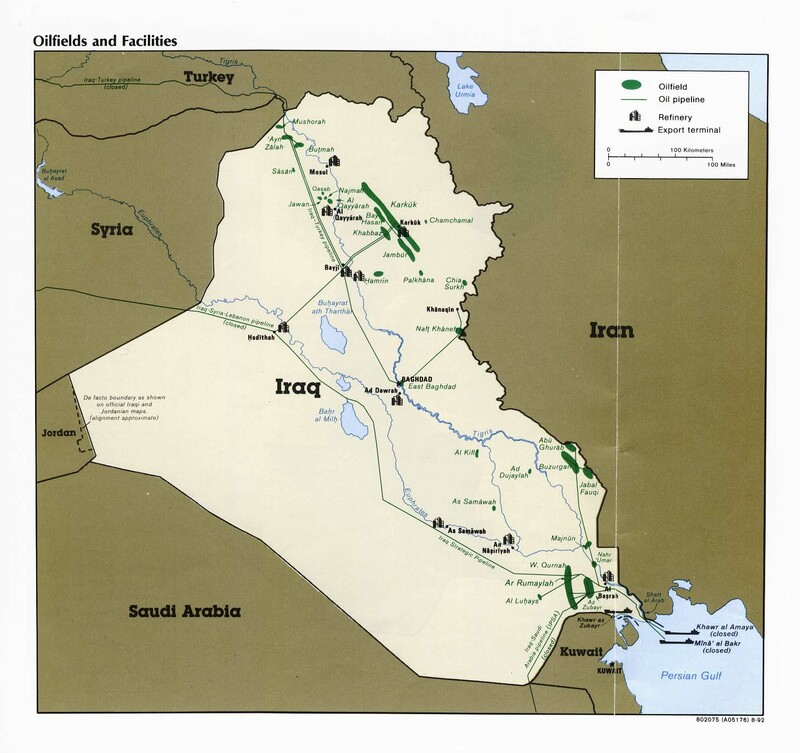 Detailed satellite and airphoto imagery for Iraq is available in Google Earth. 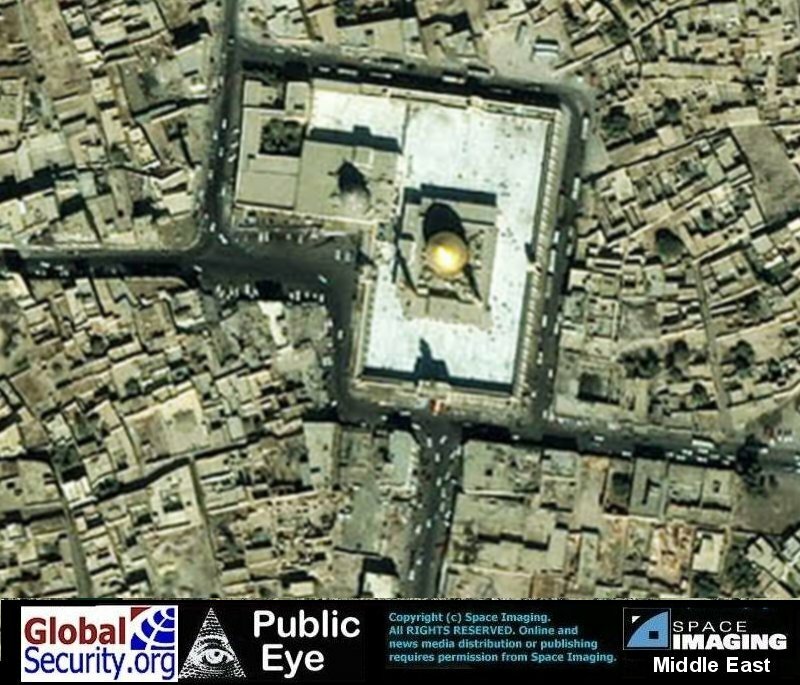 This requires free software installation. 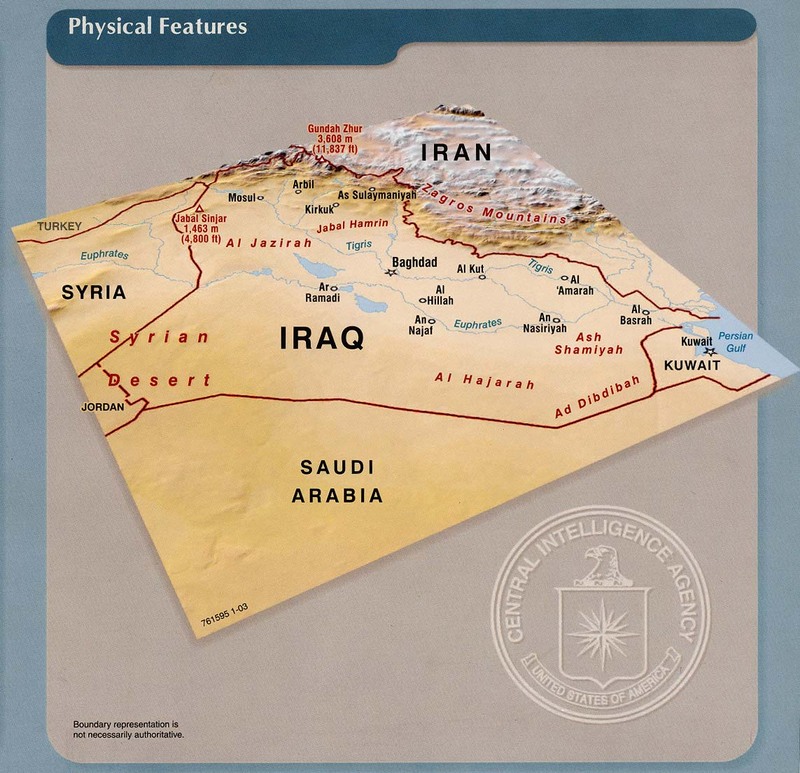 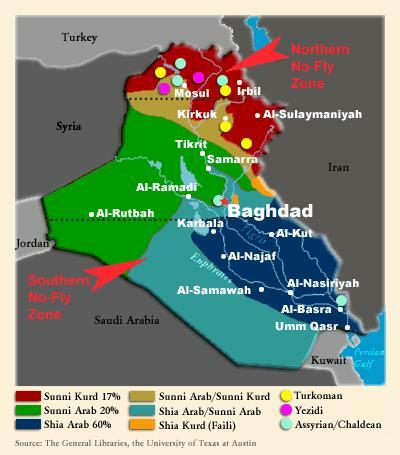 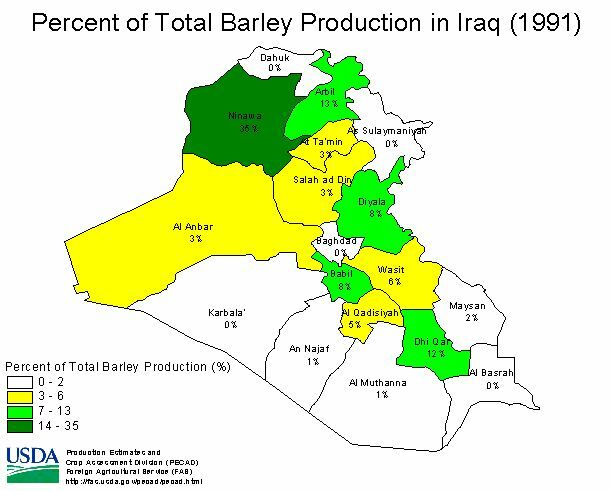 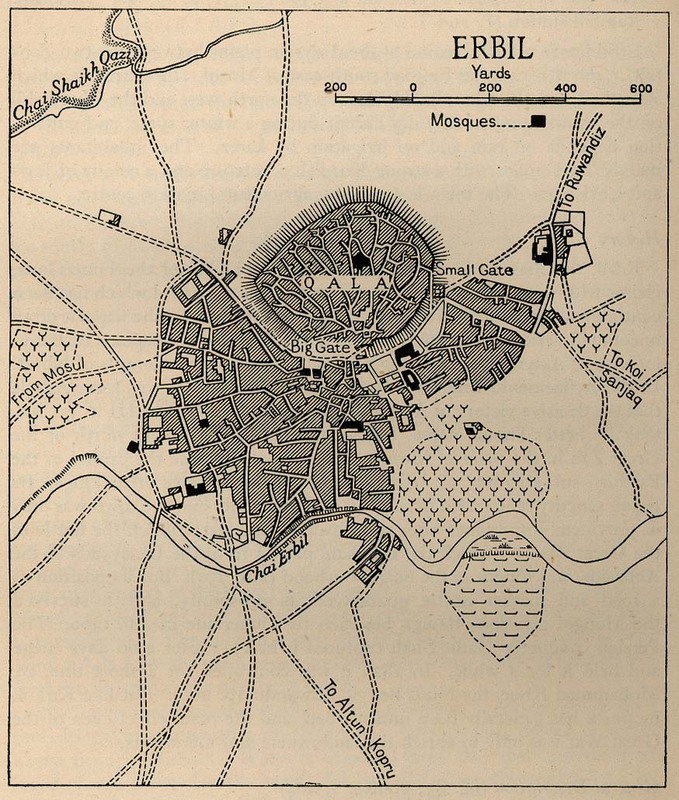 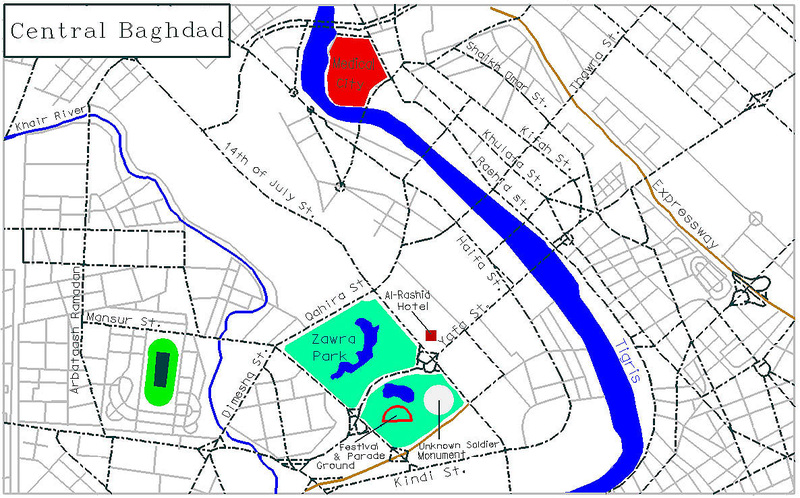 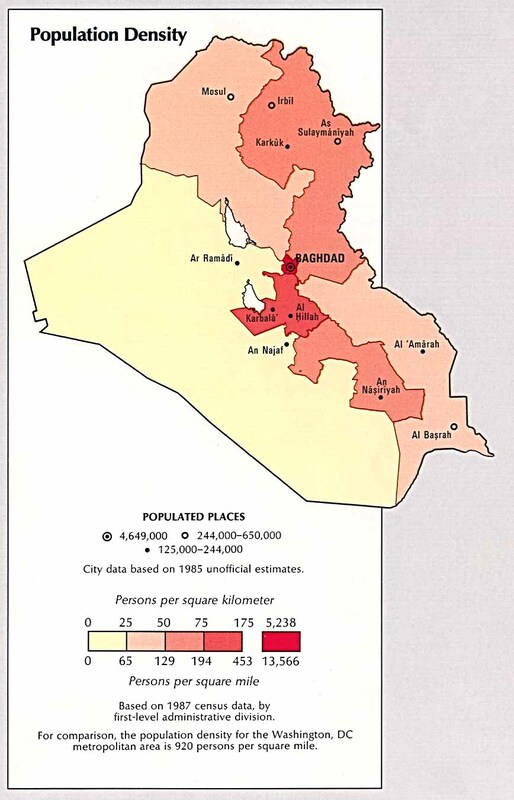 The imagery for Baghdad is very detailed. 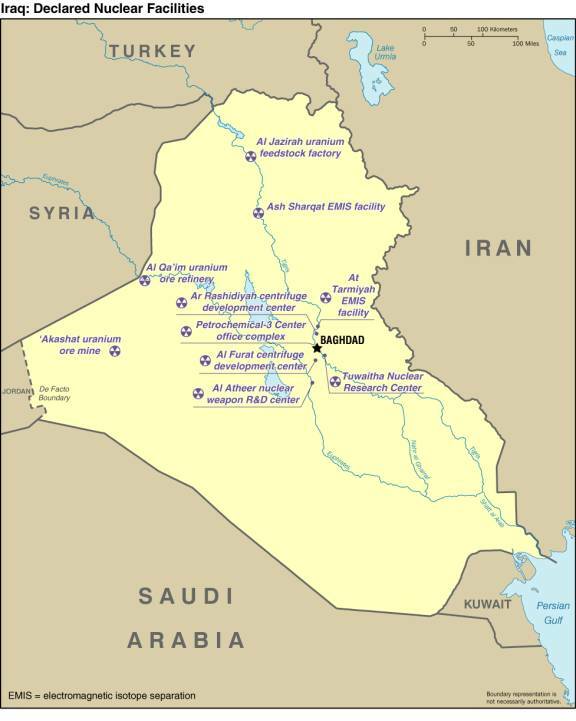 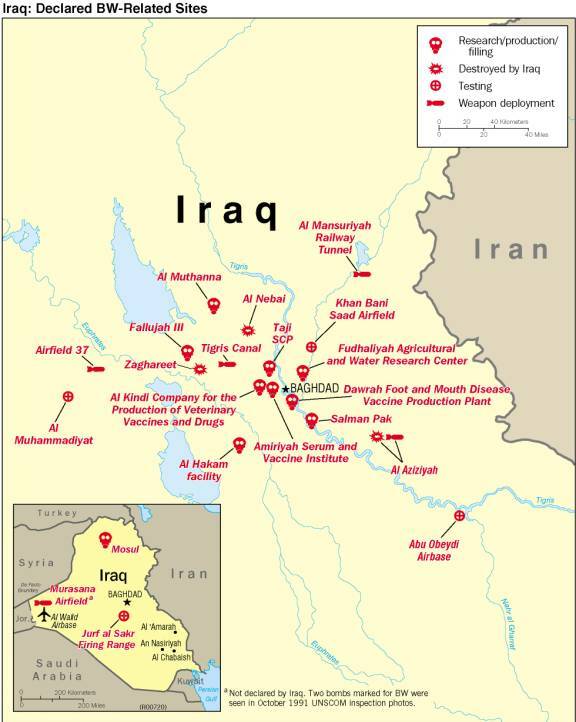 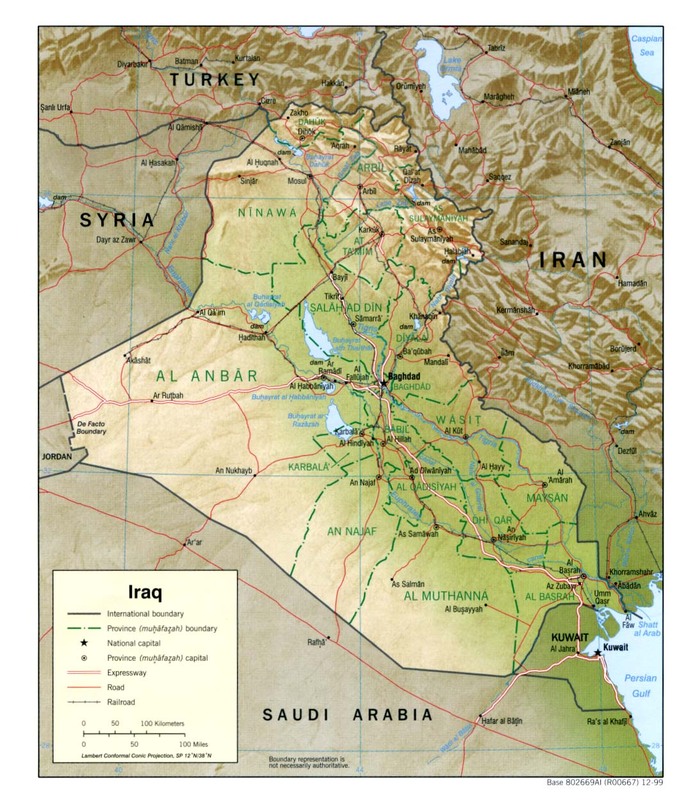 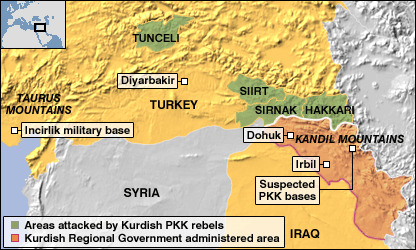 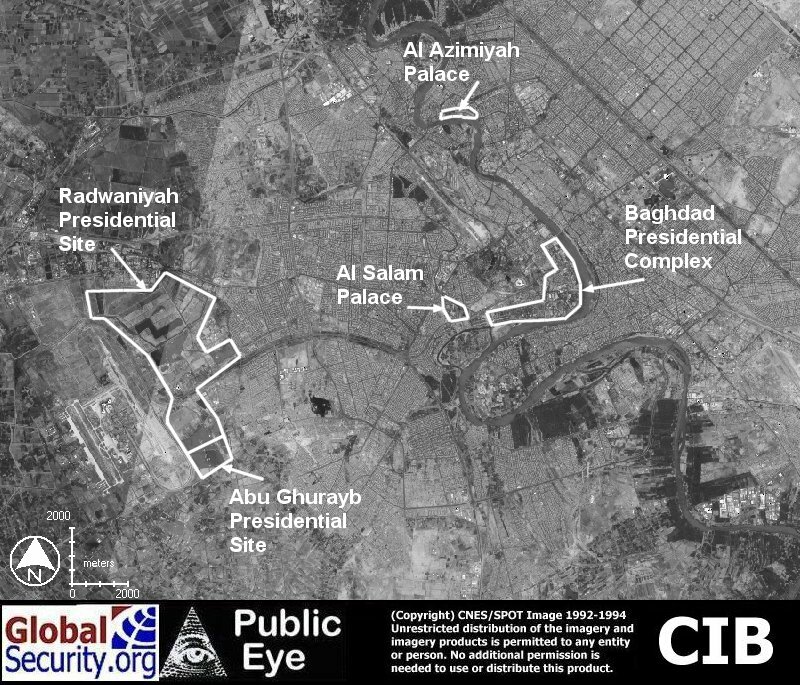 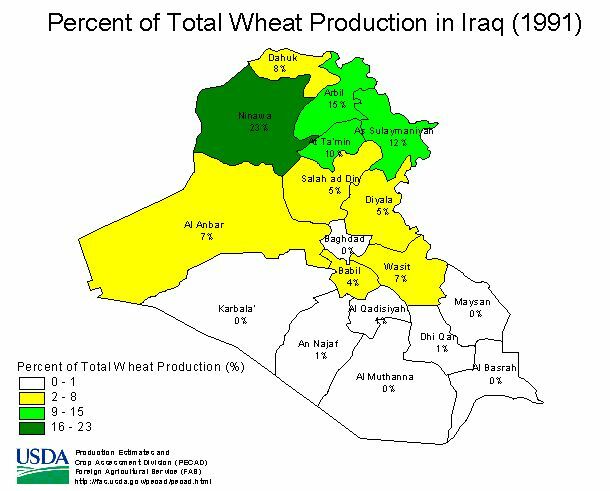 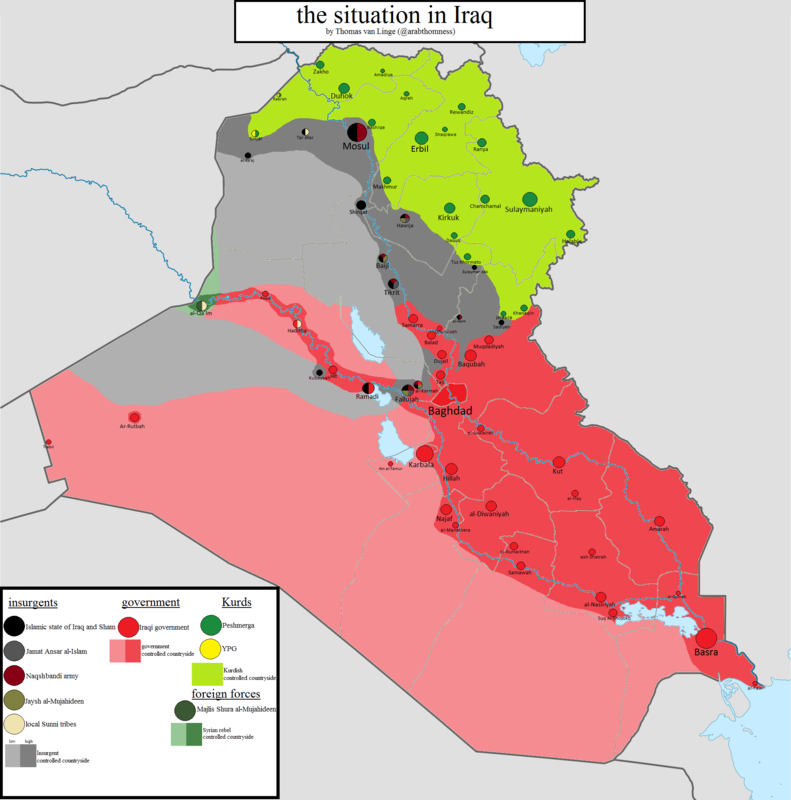 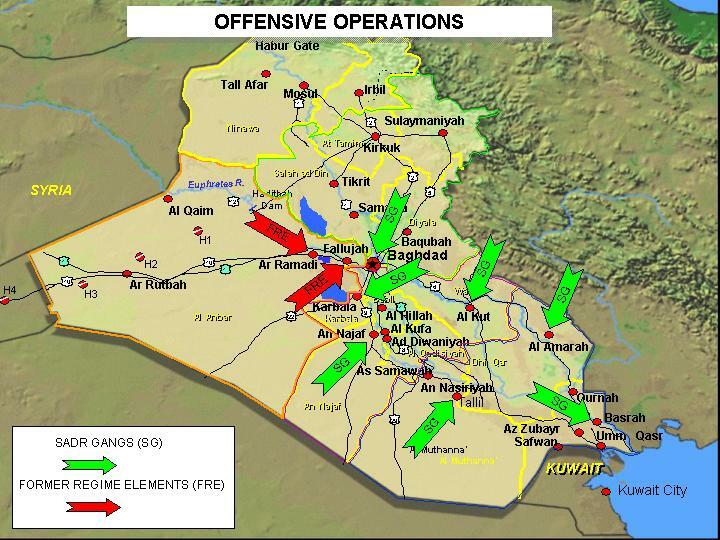 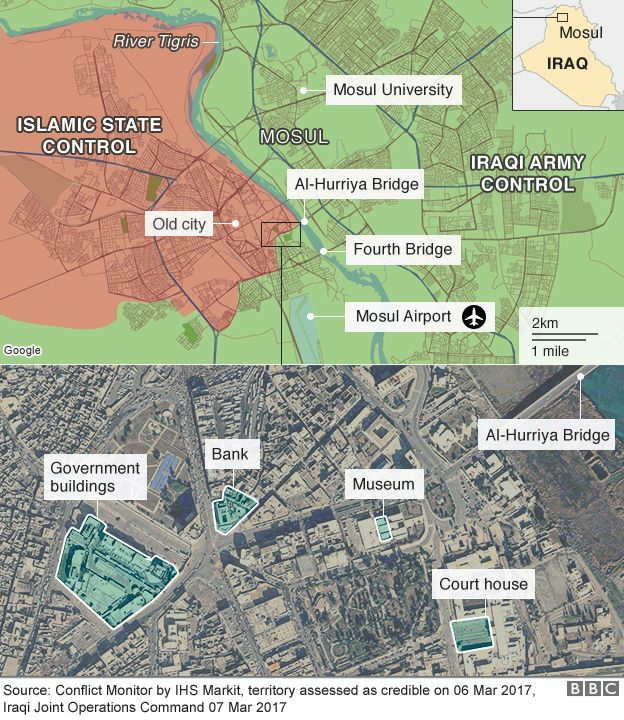 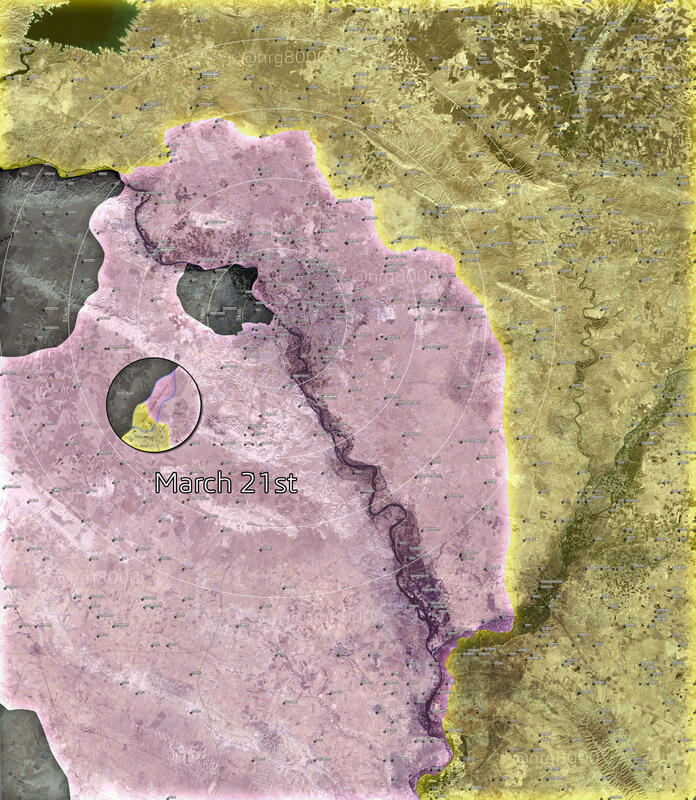 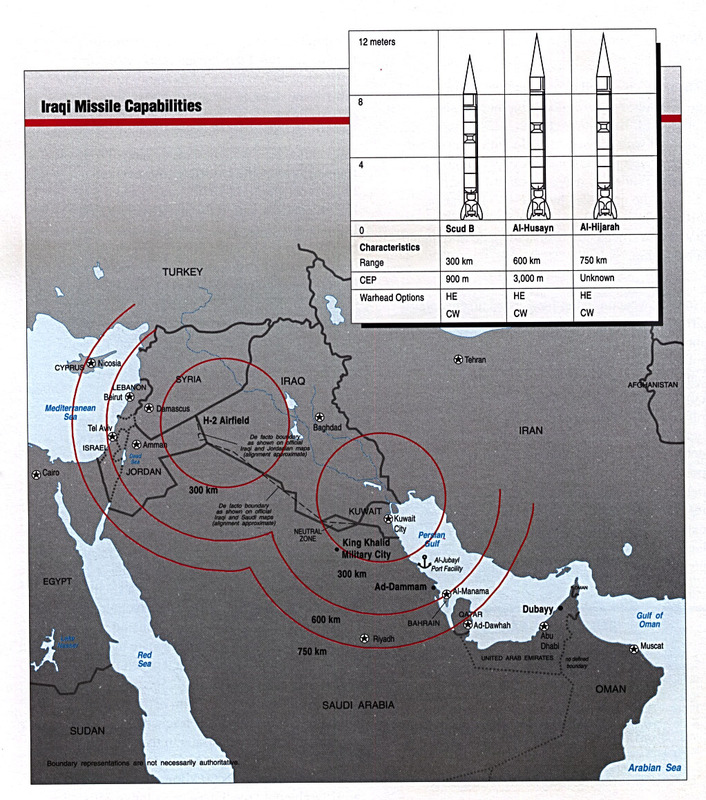 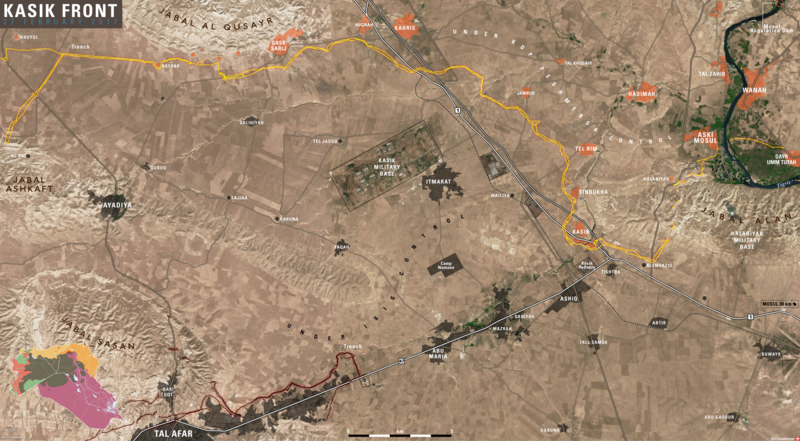 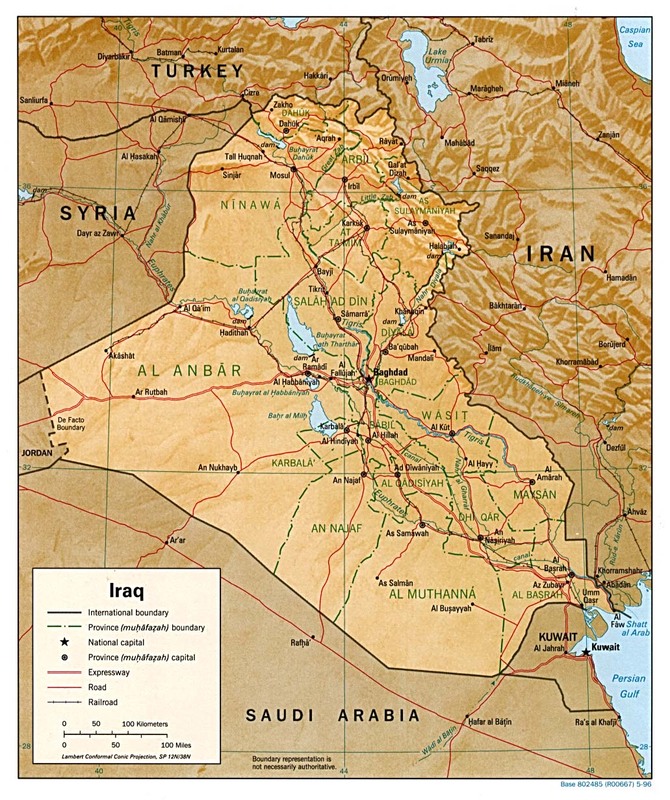 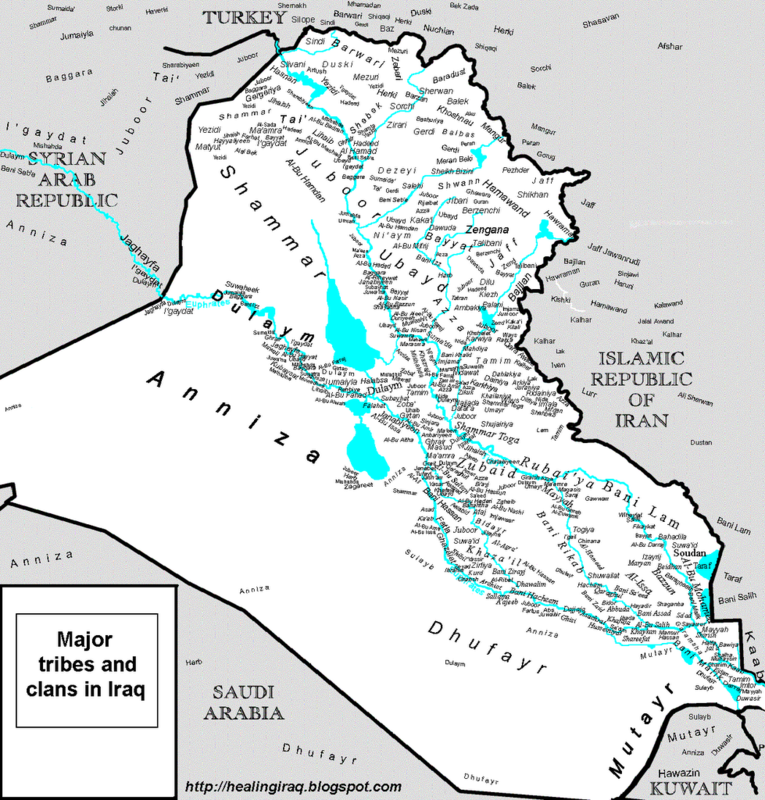 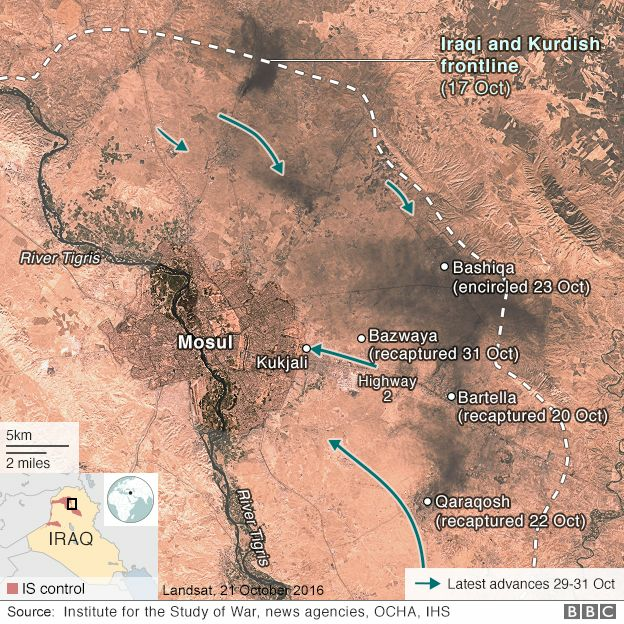 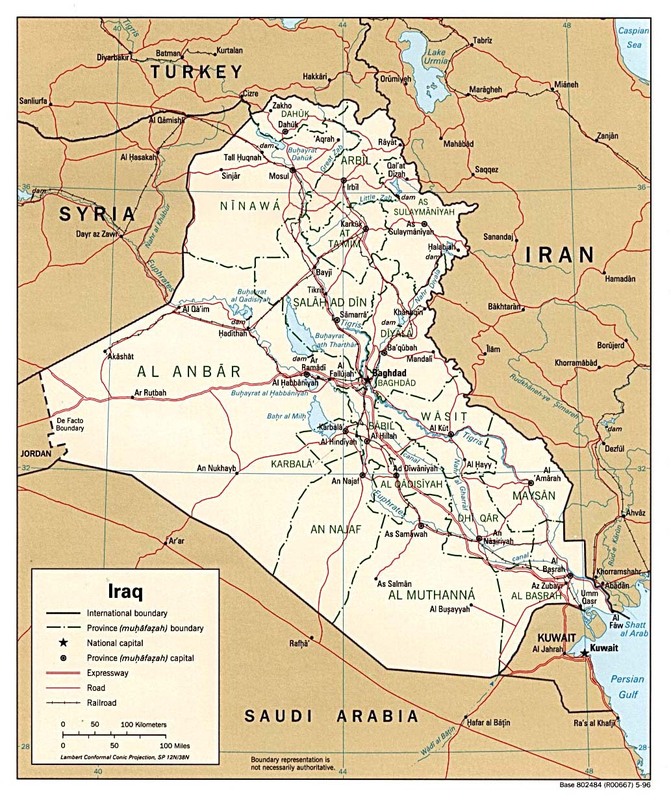 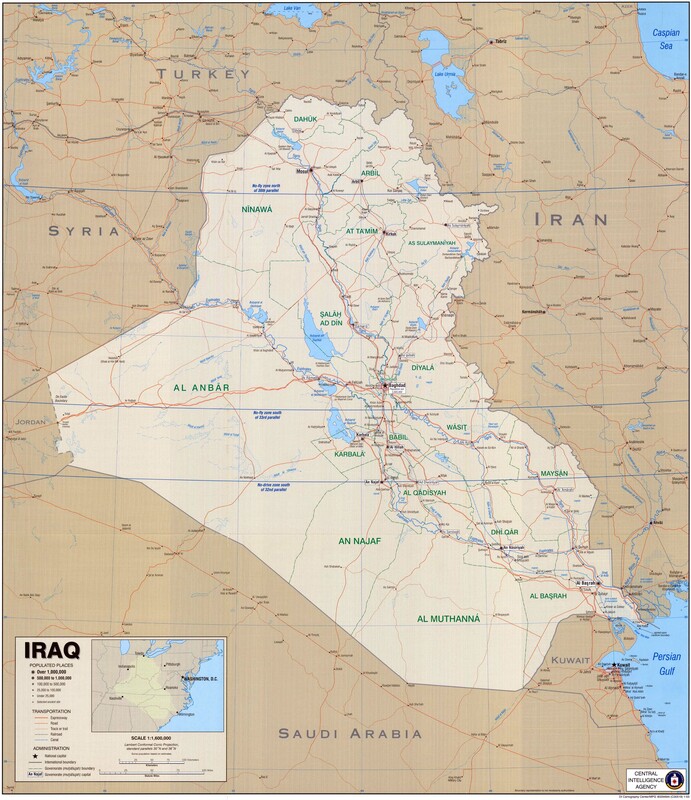 Google Maps, Live Search Maps and Yahoo Maps also have satellite imagery for Iraq.